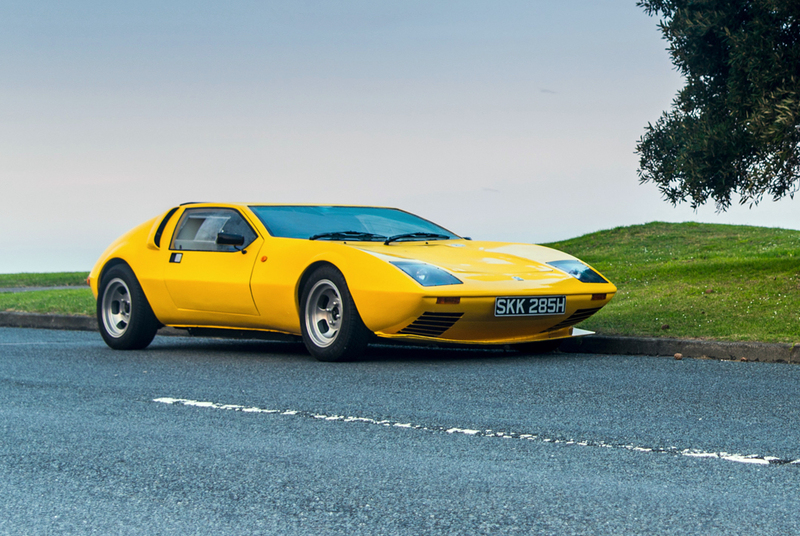 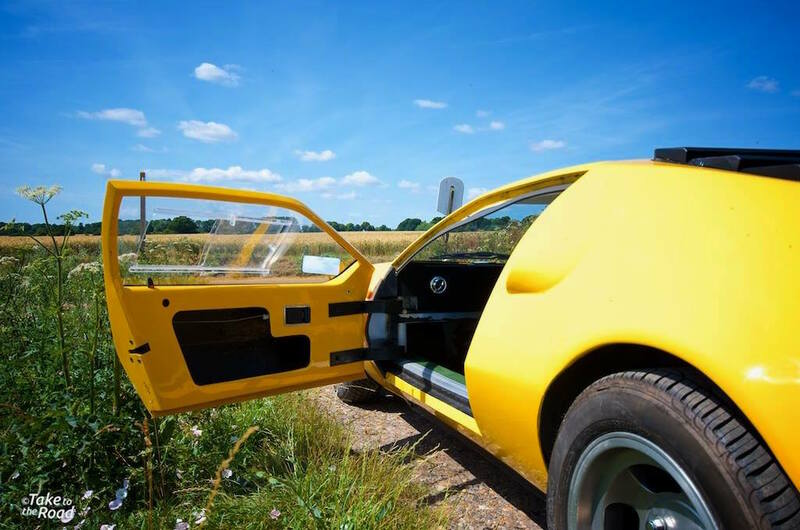 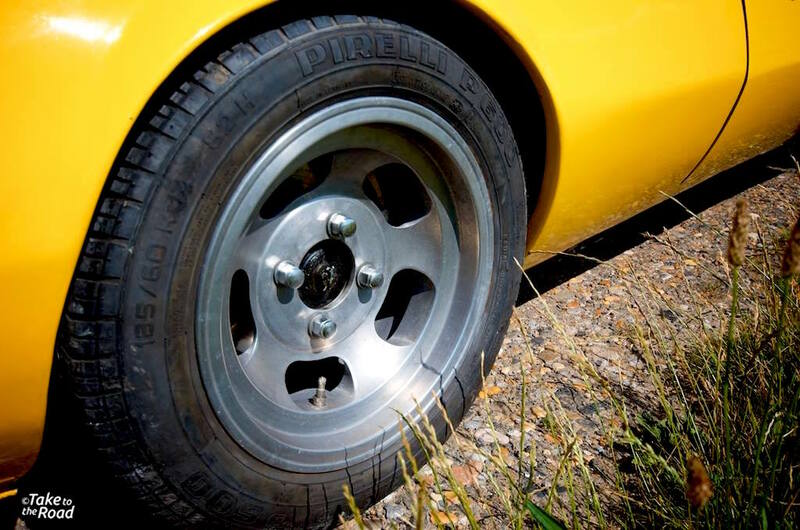 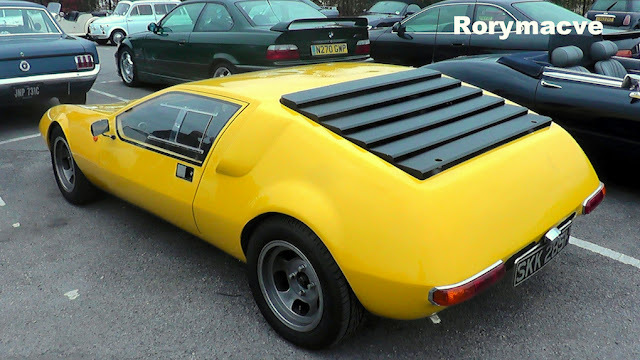 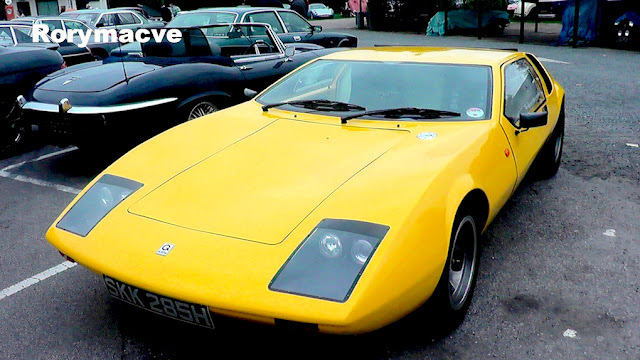 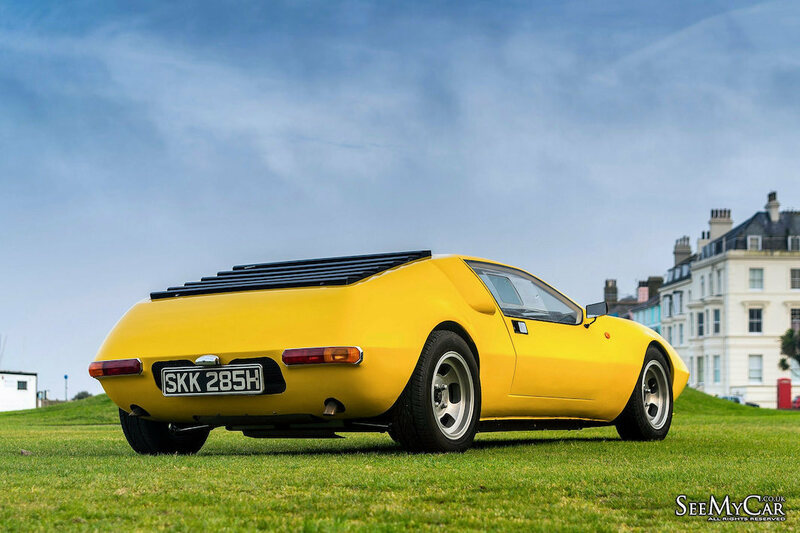 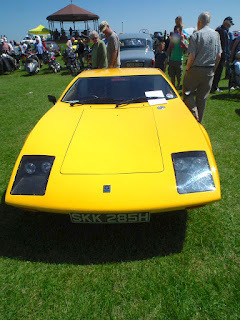 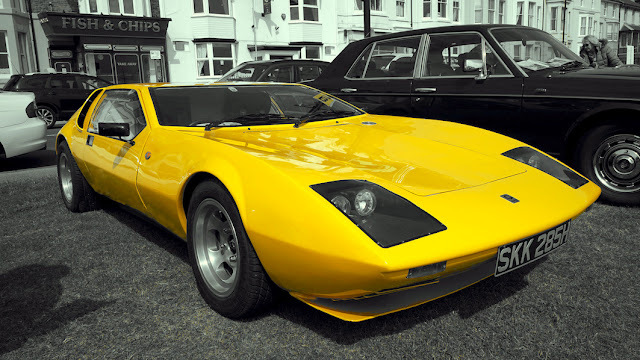 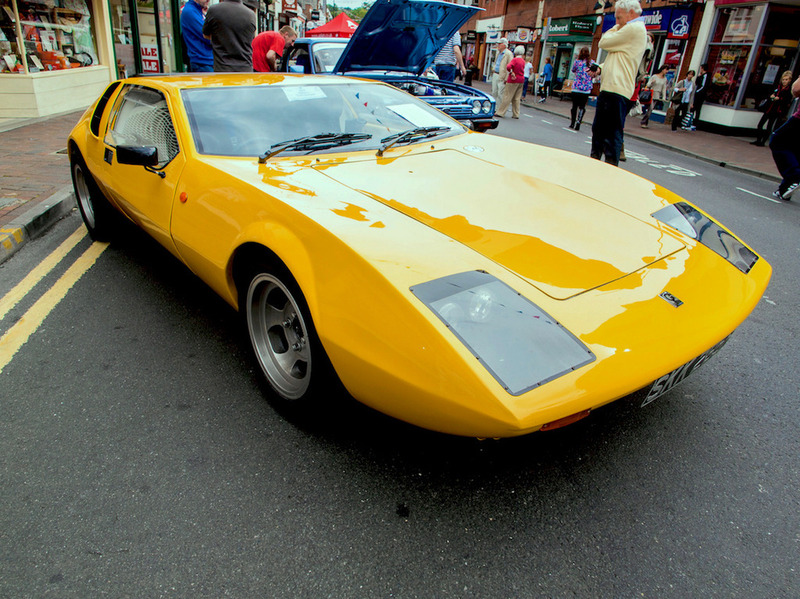 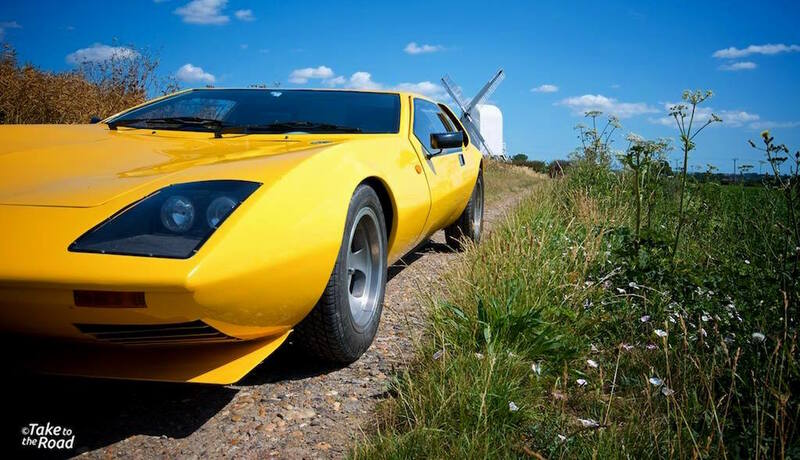 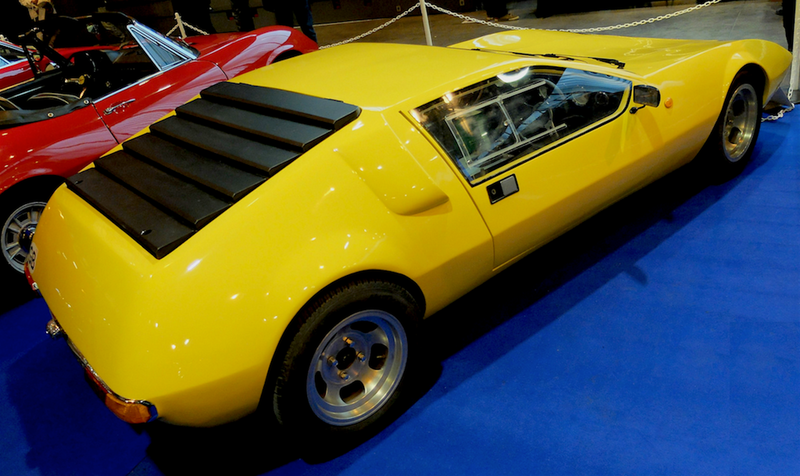 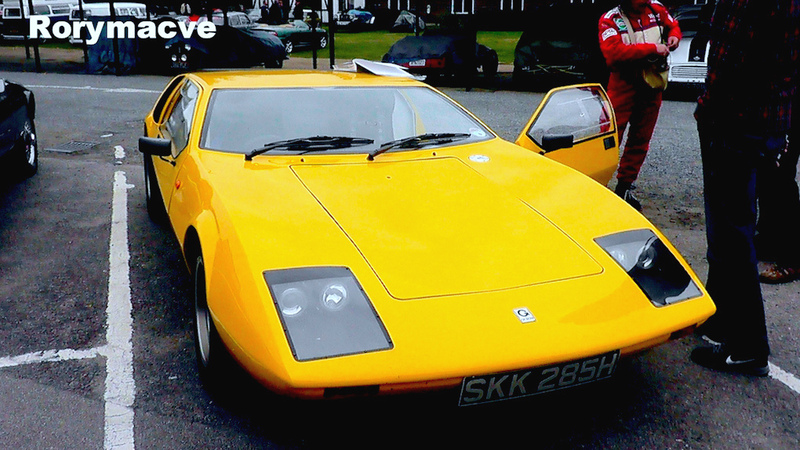 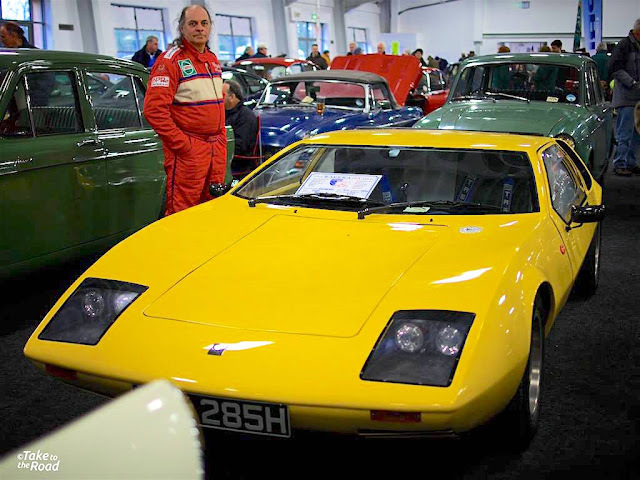 Created as a one-off concept car in 1971 by Gilbern, Wales only sports car manufacturer, the T11 Prototype was to be the companies new two seat sports car. 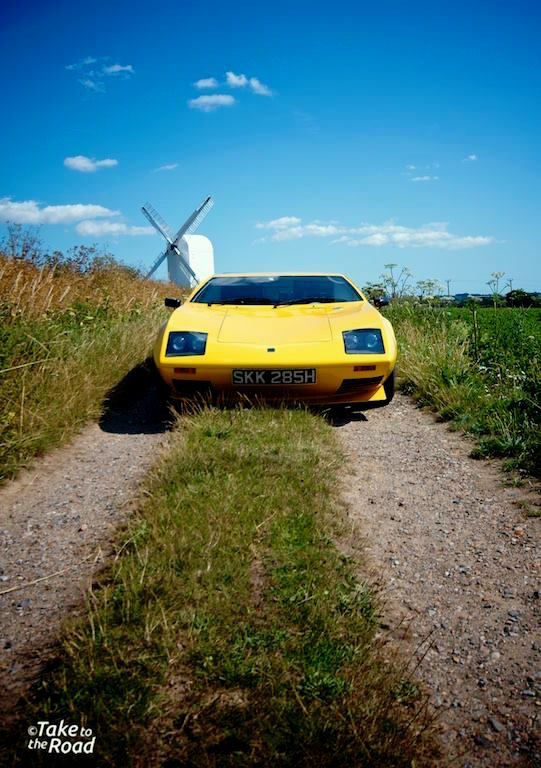 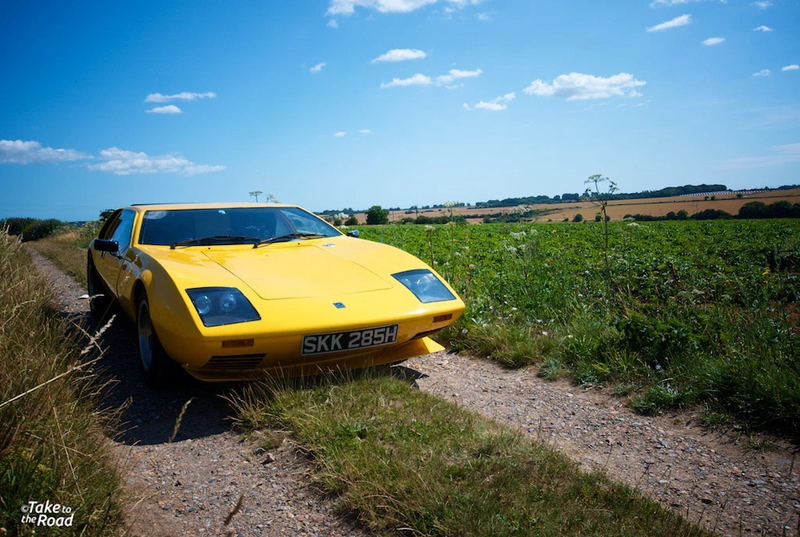 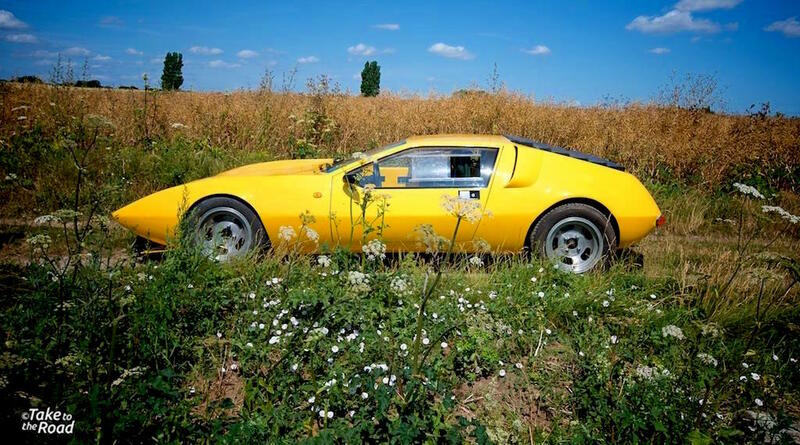 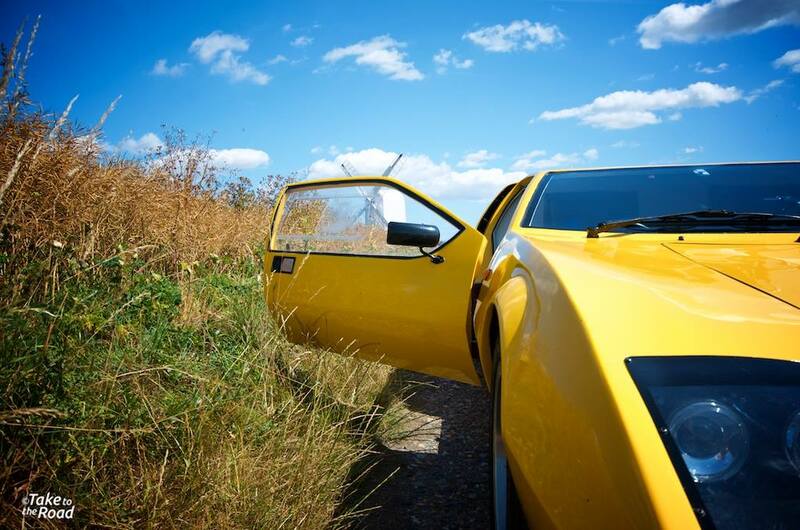 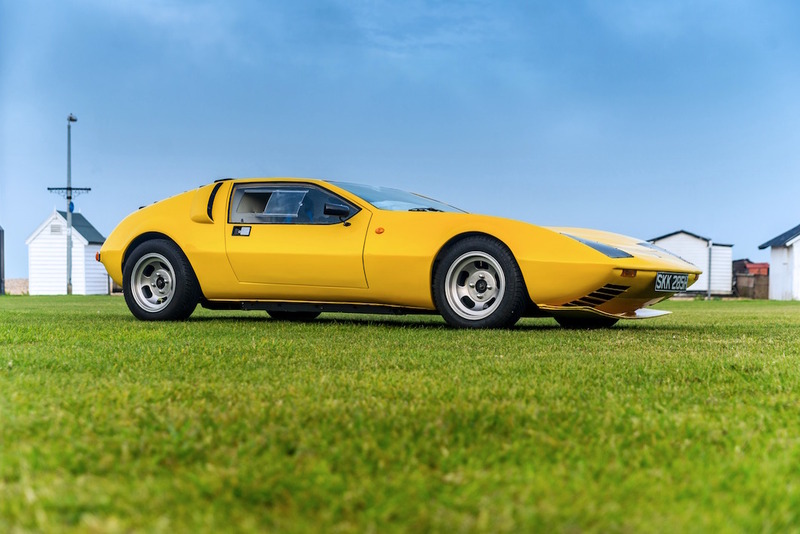 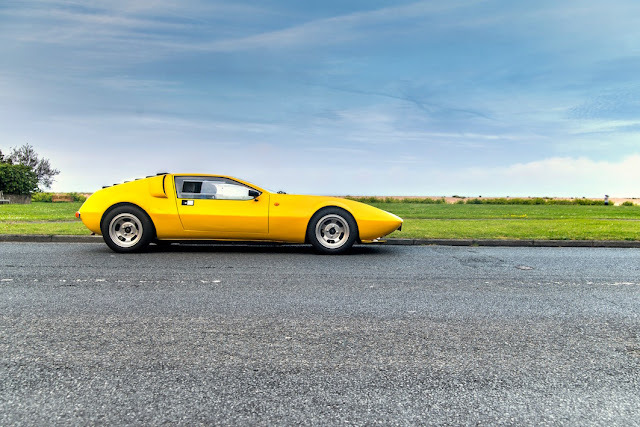 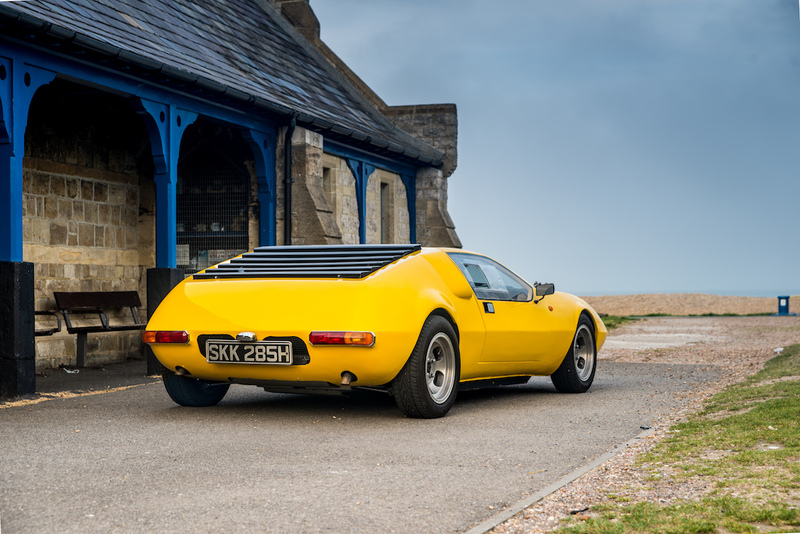 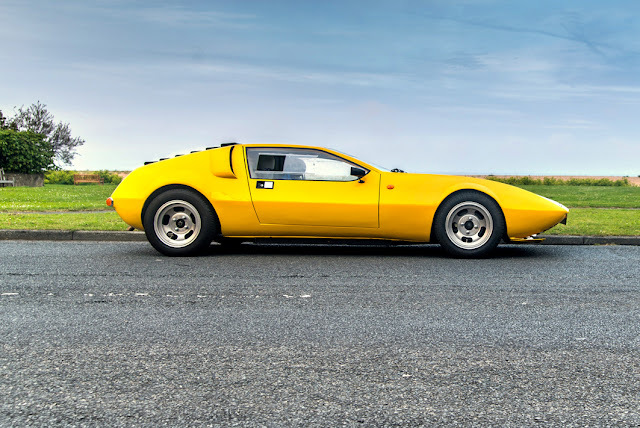 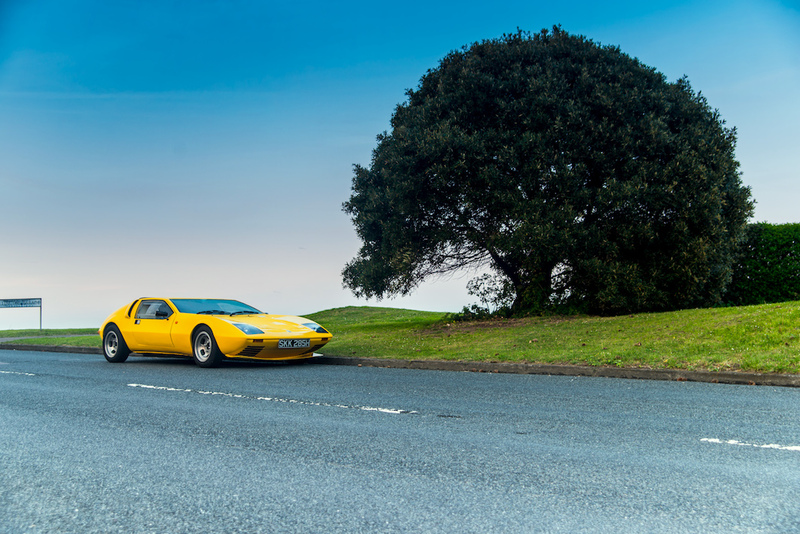 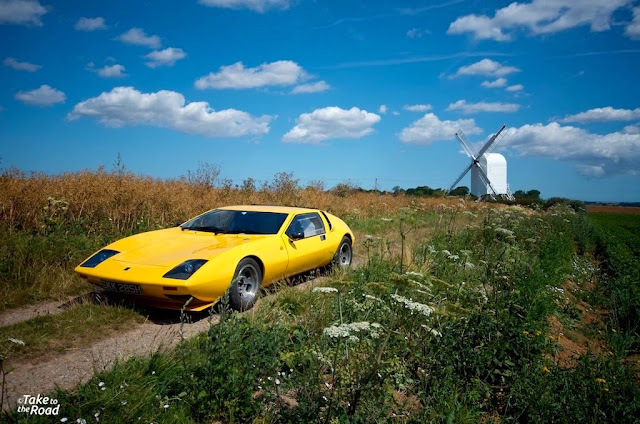 With a striking body by British designer Trevor Fiore (of TVR Trident, Alpine A310 and Montiverdi 450 Hai fame), the T11 promised a great deal. 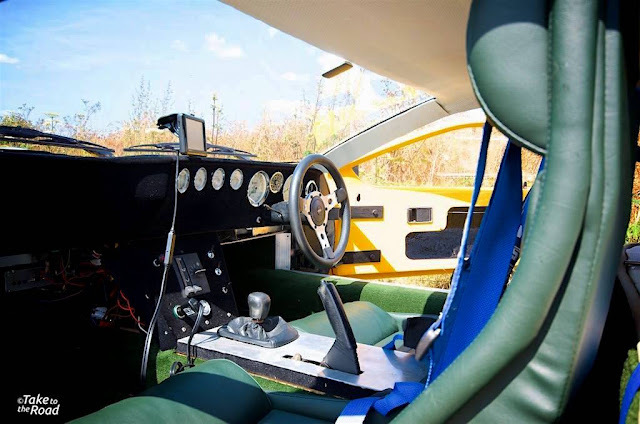 But the project was canceled and the prototype abandoned. 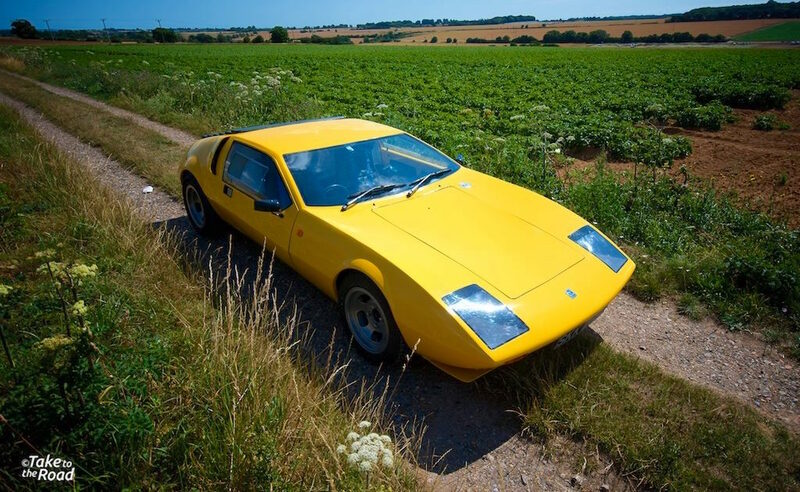 Gilbern then went bankrupt in 1973. 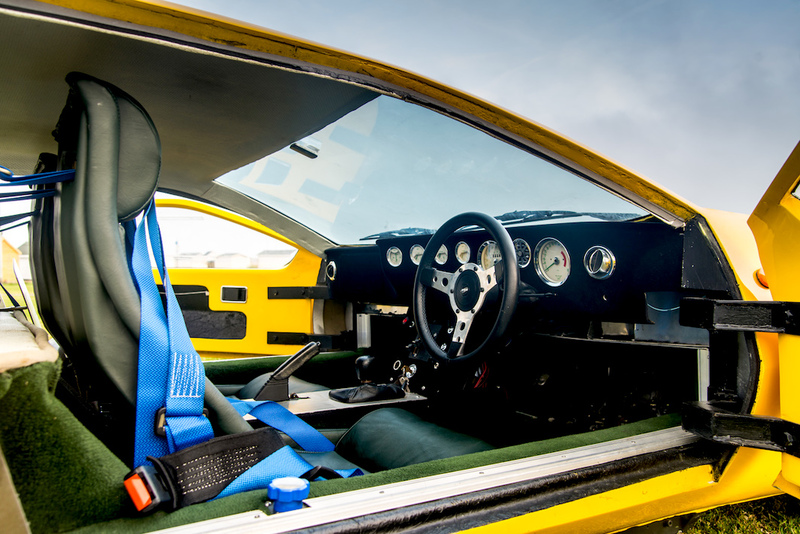 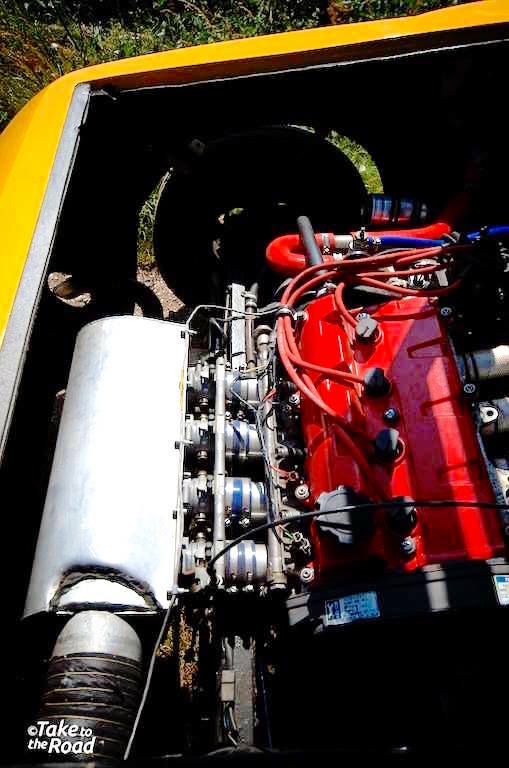 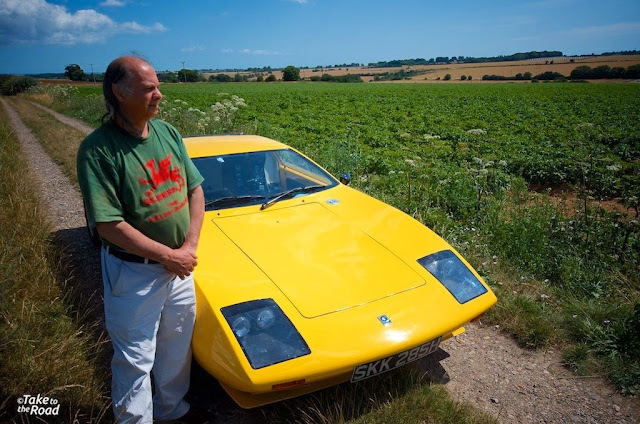 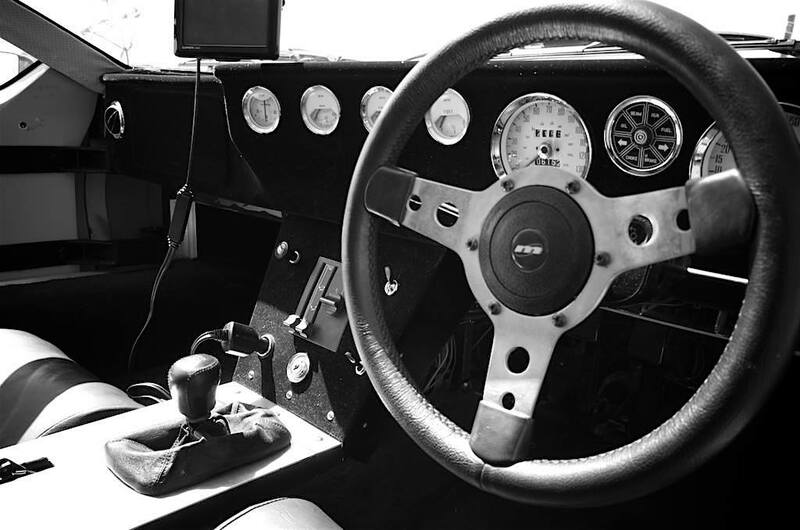 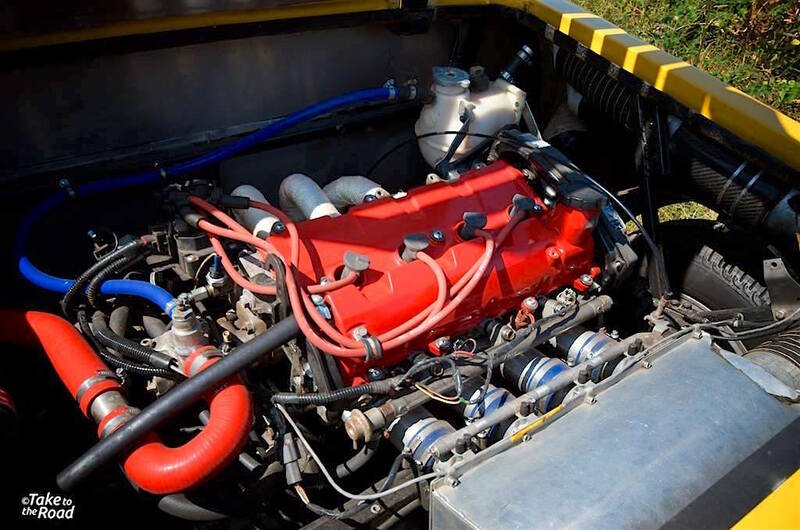 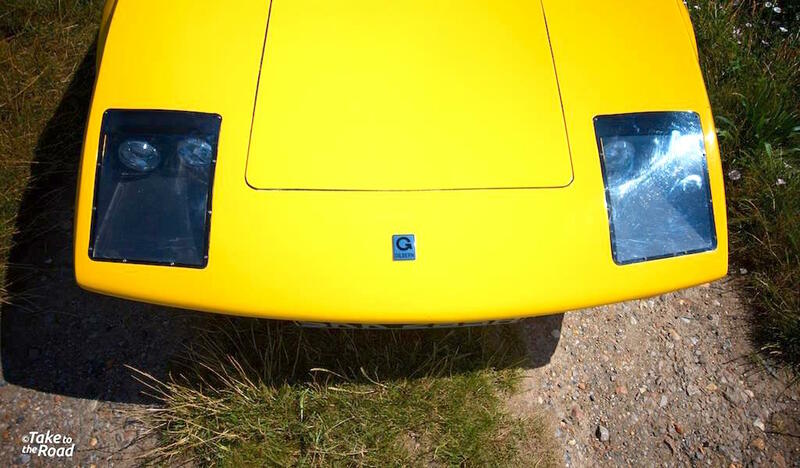 Owner Gordon Johnston spent nearly 10 years restoring the forgotten prototype. 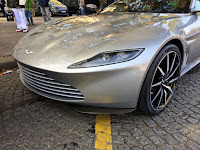 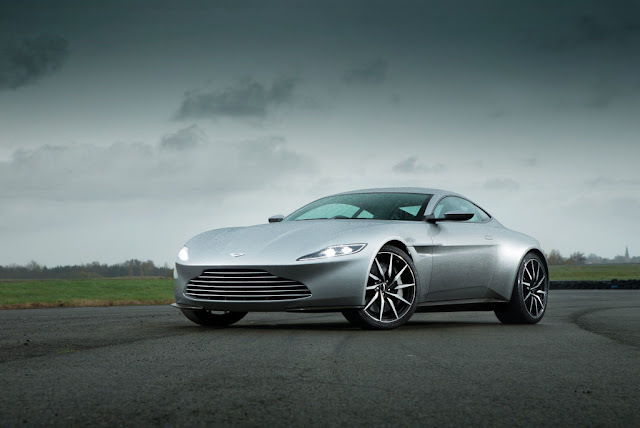 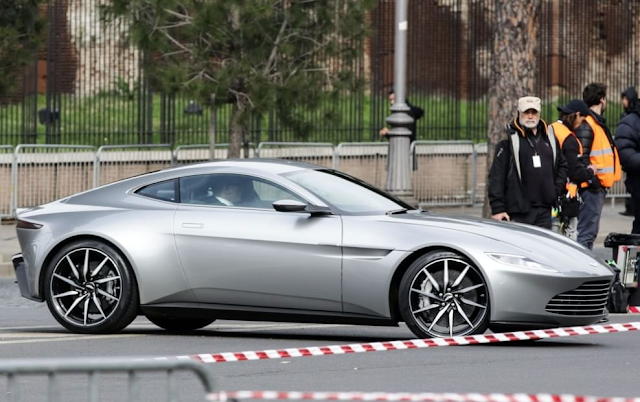 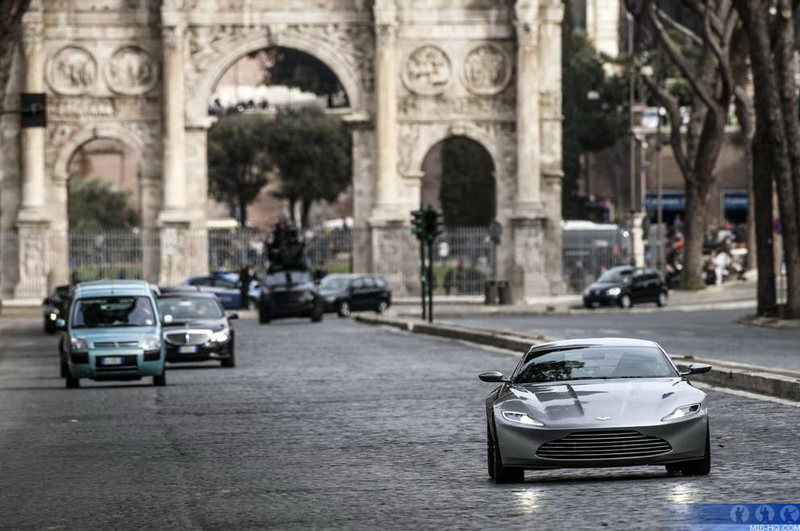 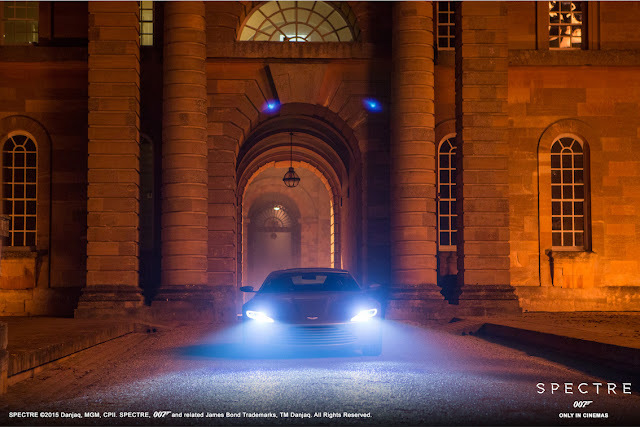 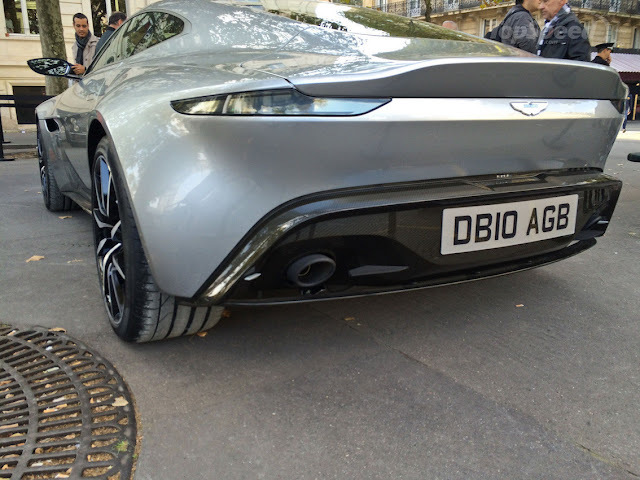 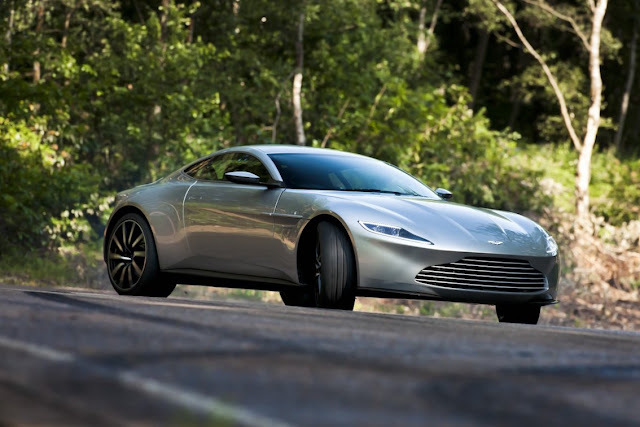 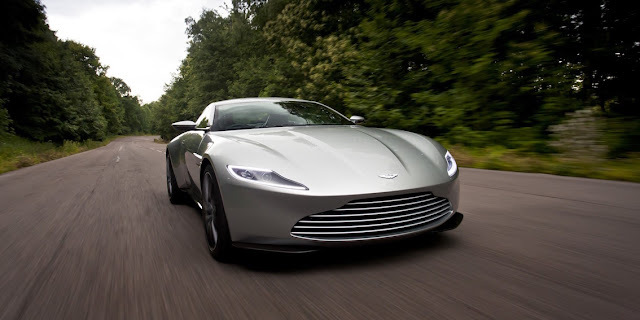 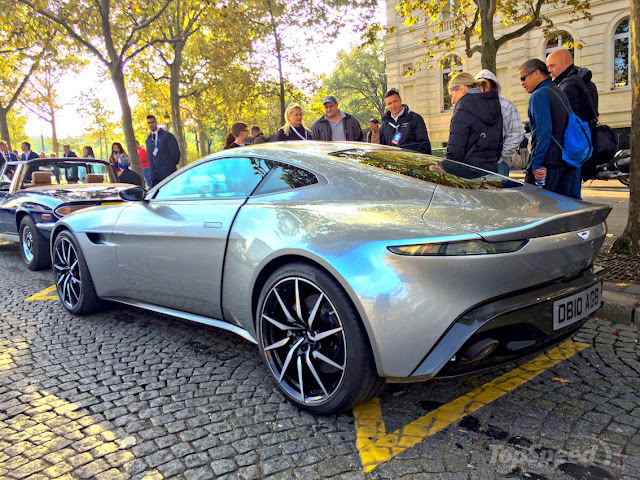 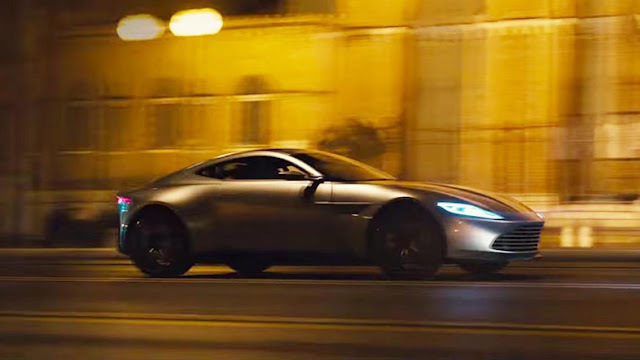 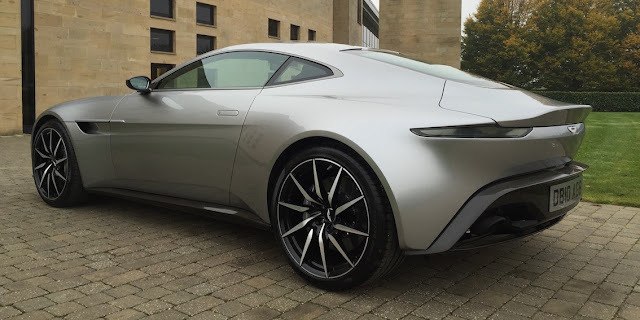 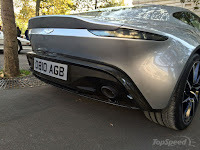 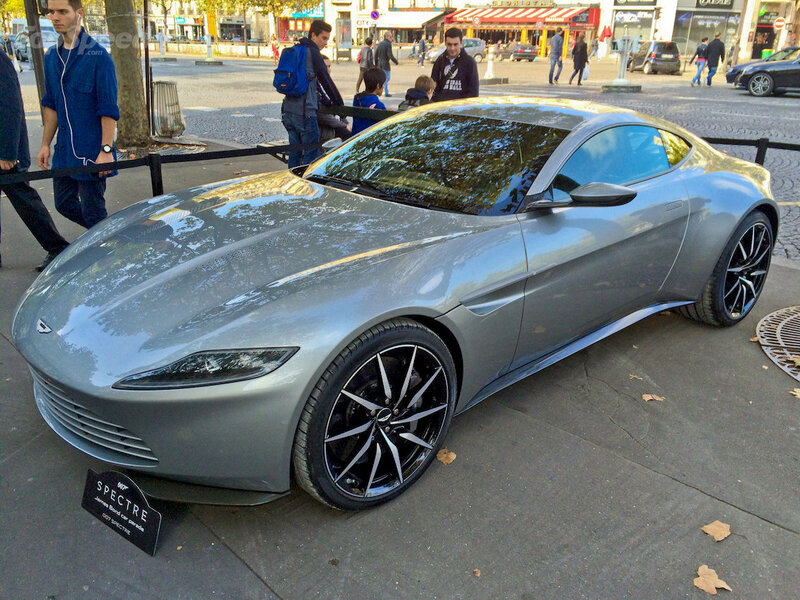 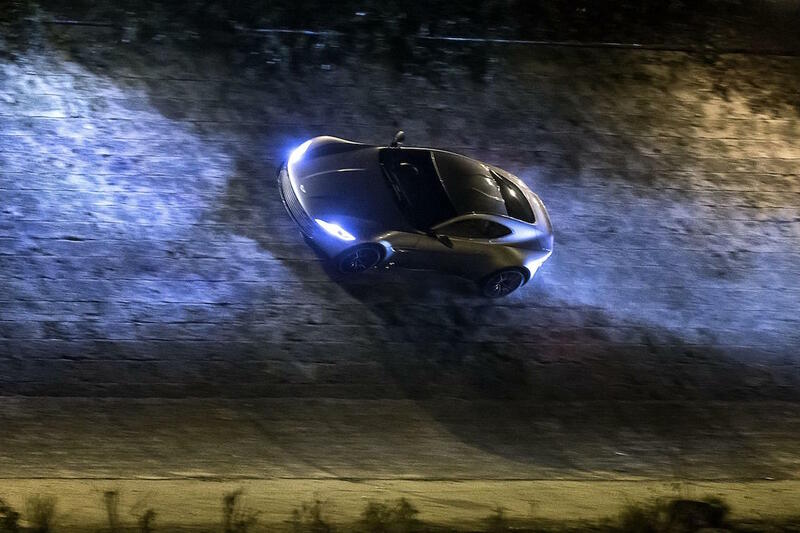 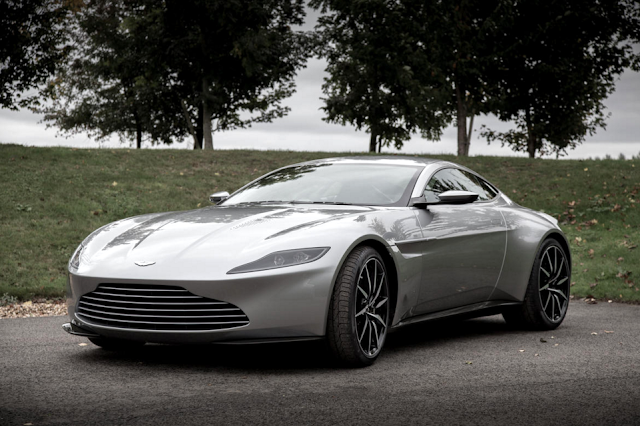 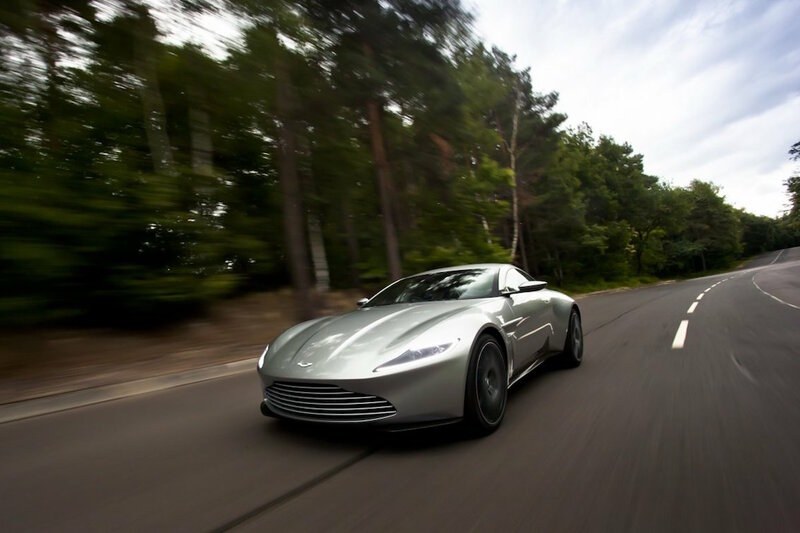 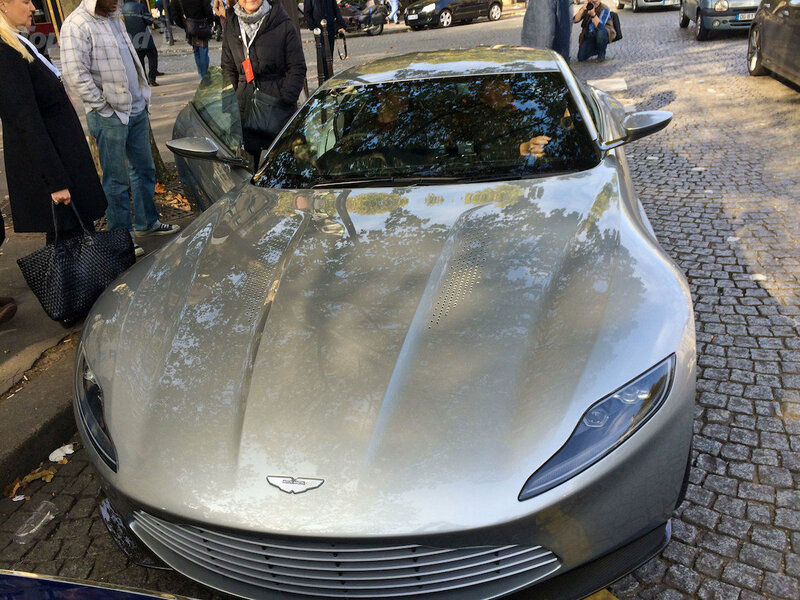 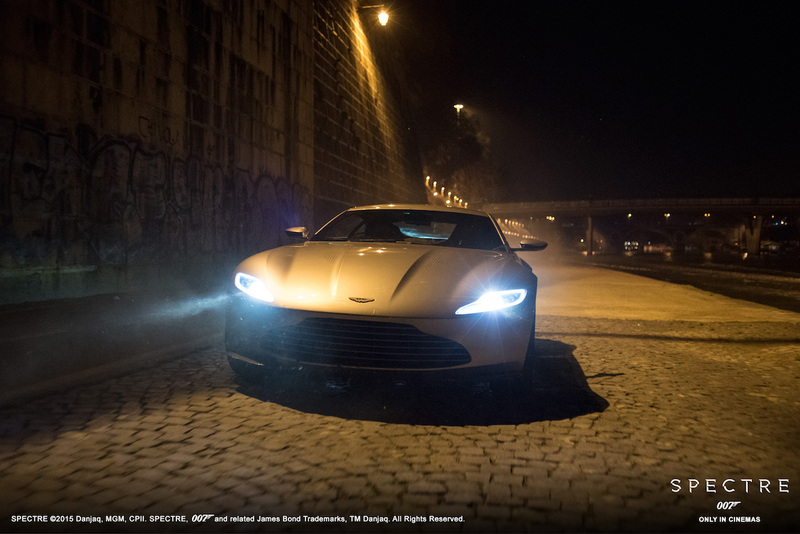 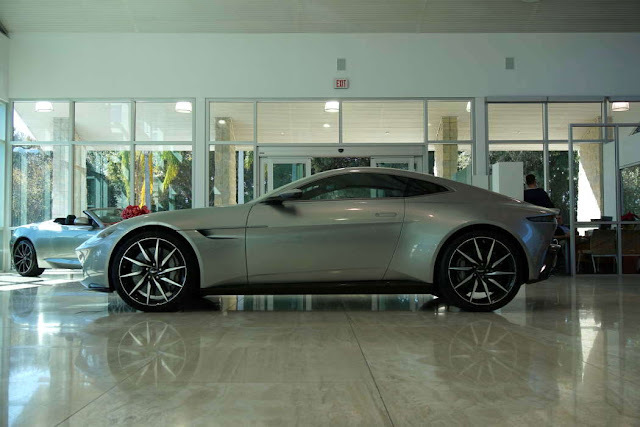 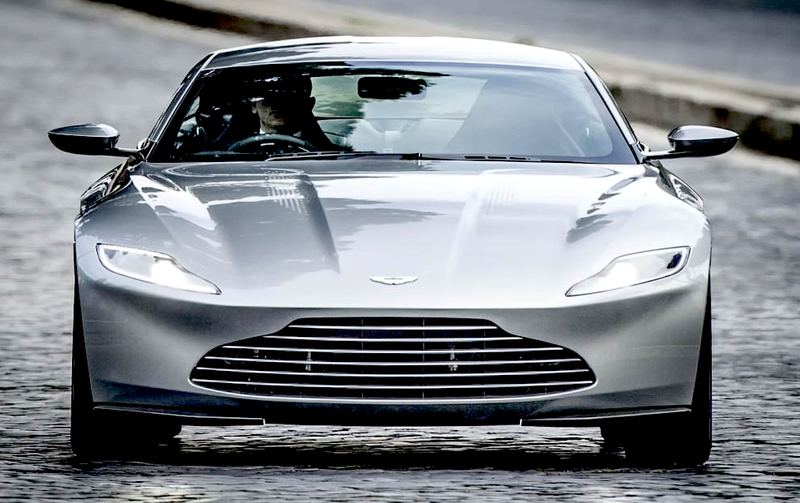 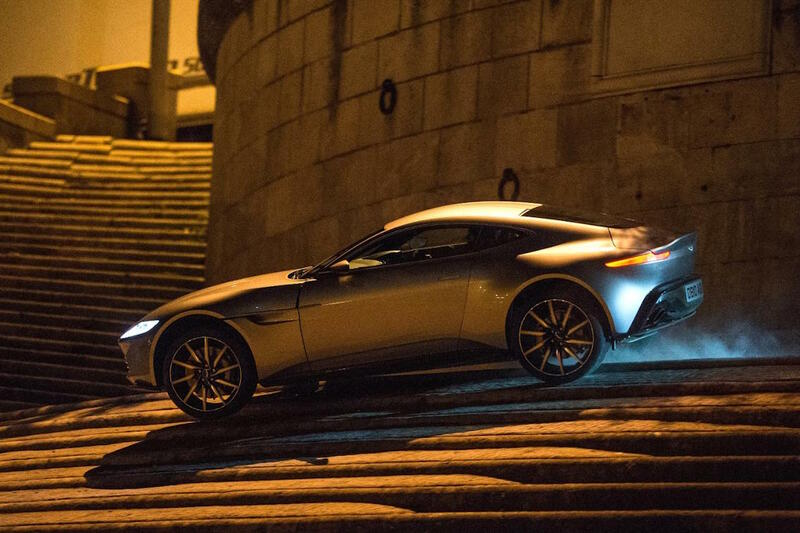 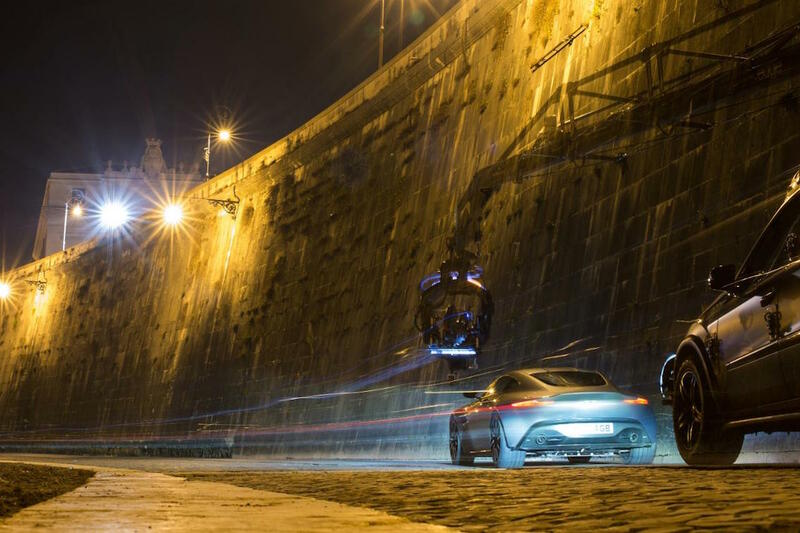 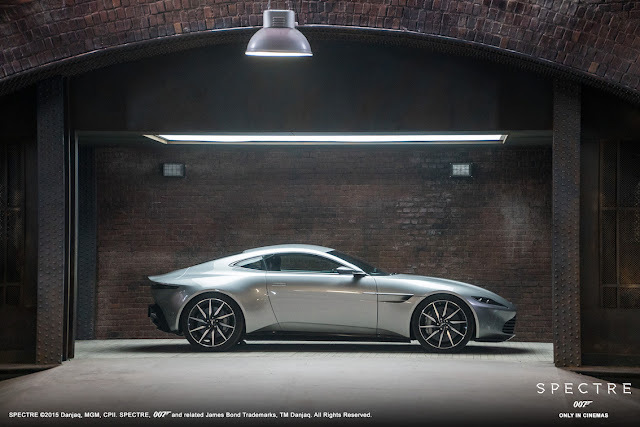 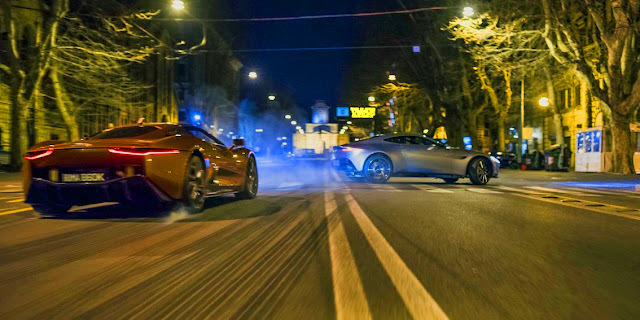 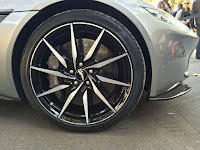 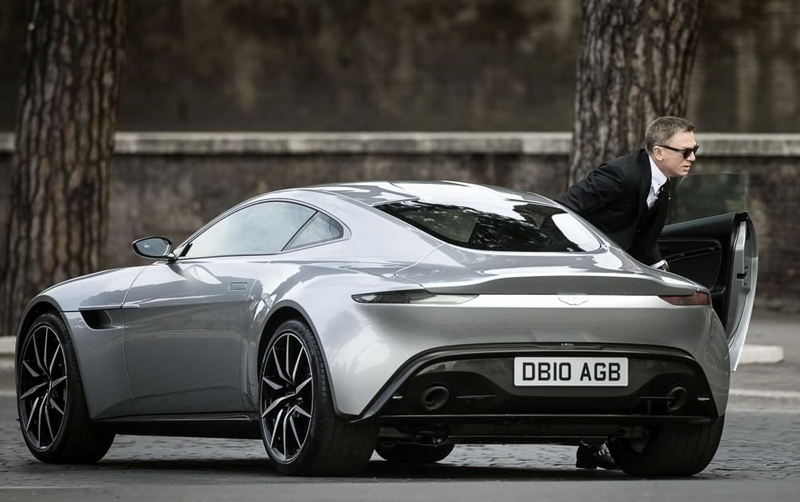 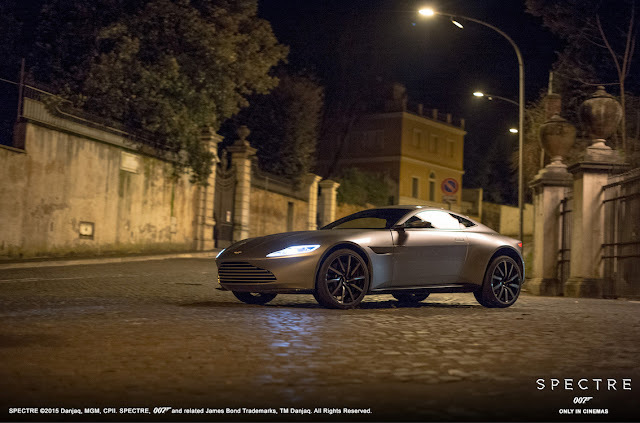 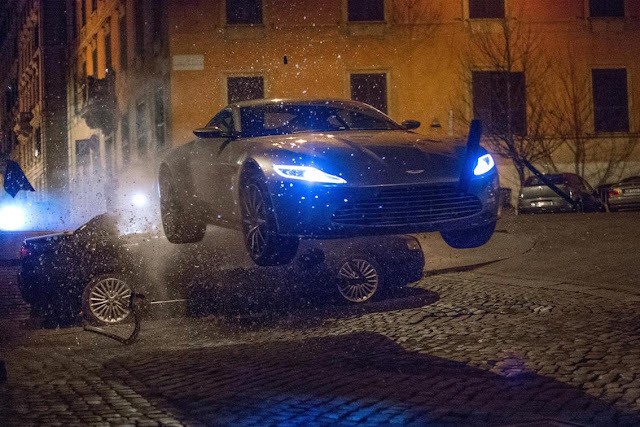 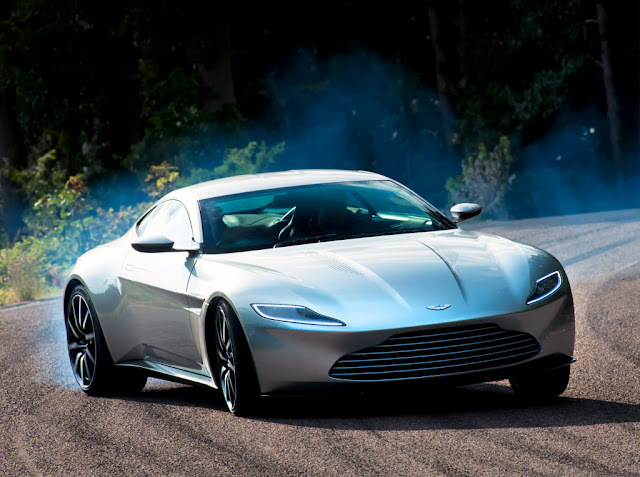 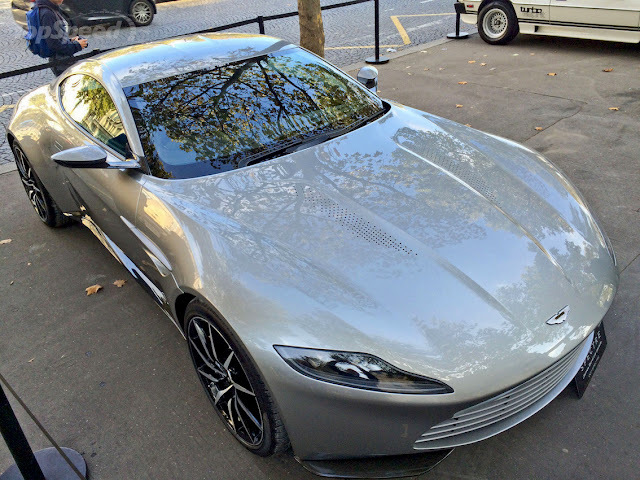 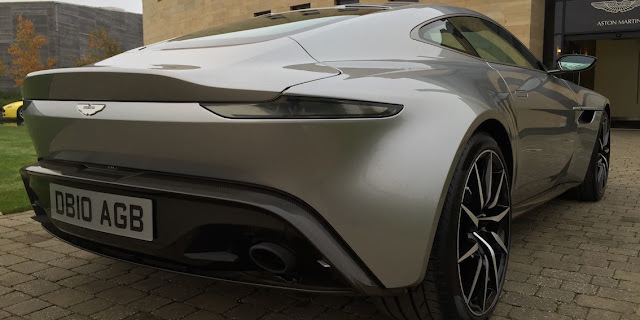 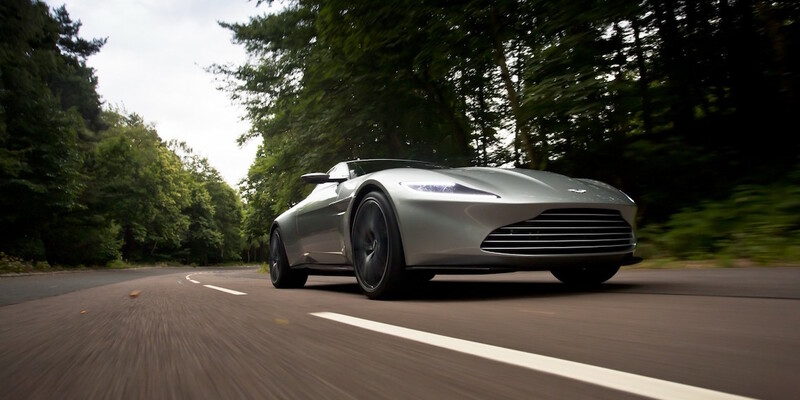 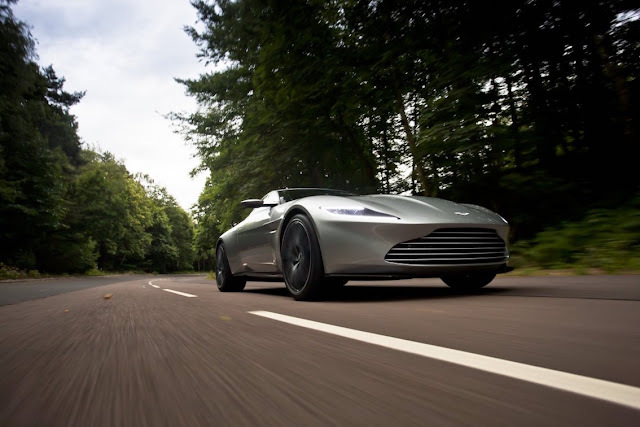 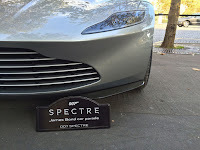 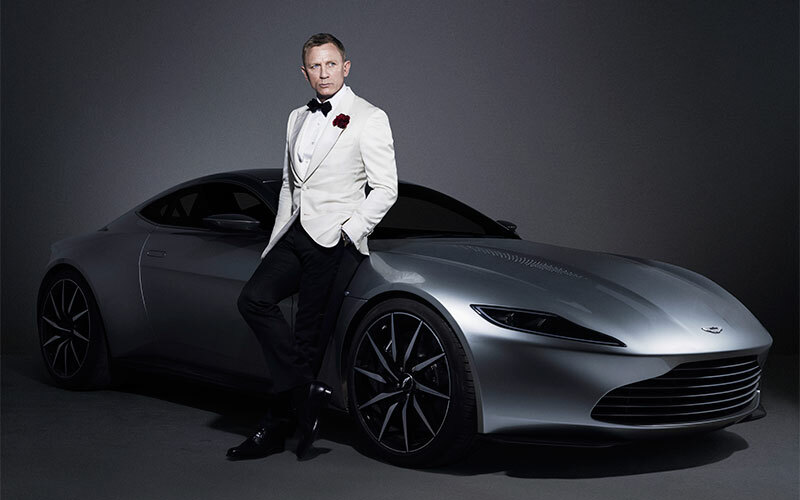 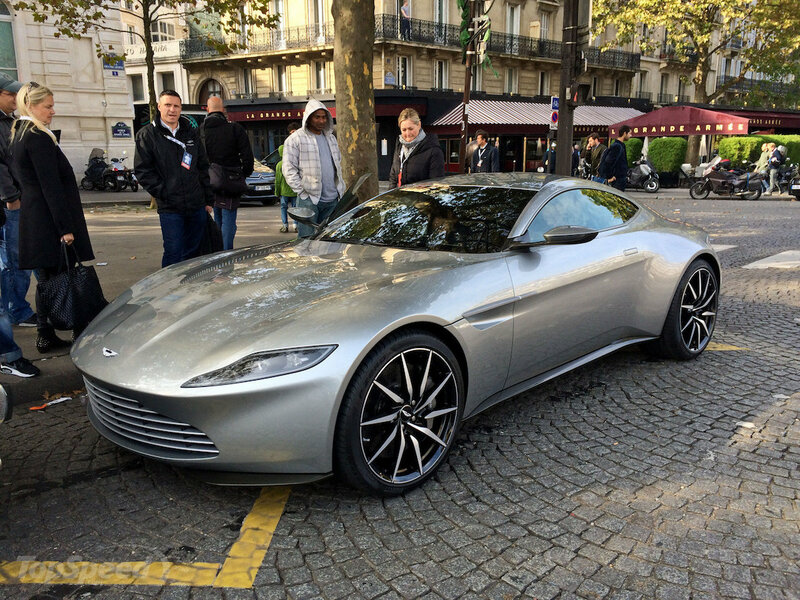 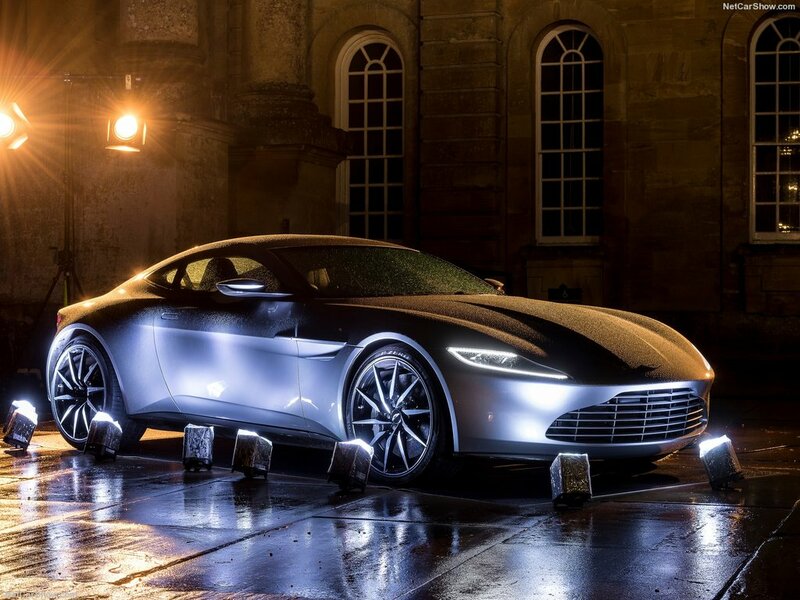 2015 Aston Martin DB10 James Bond "Spectre"
Built specifically for the Spectre movie. 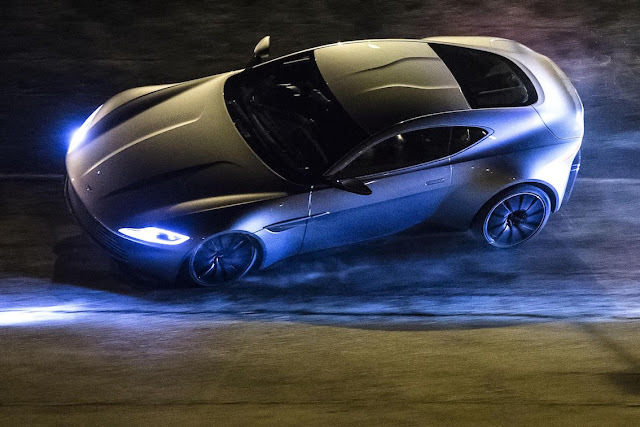 In the entire 24-film Bond franchise spanning over half a century, this is the first time Aston Martin has designed a car from scratch just for the film. 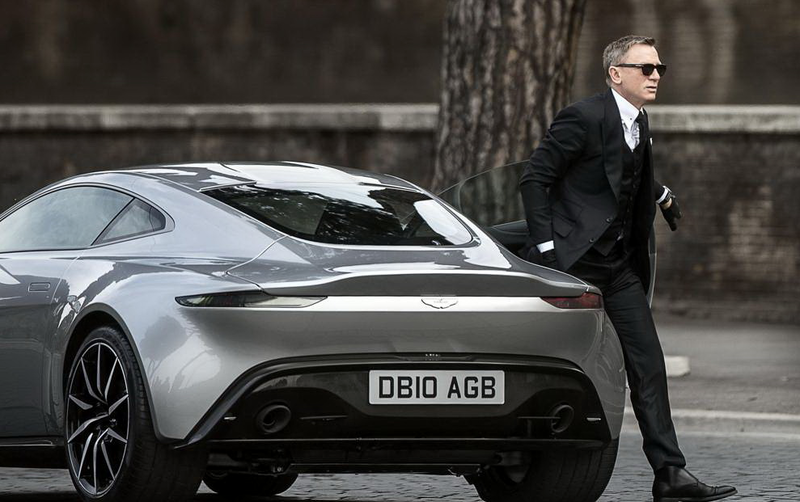 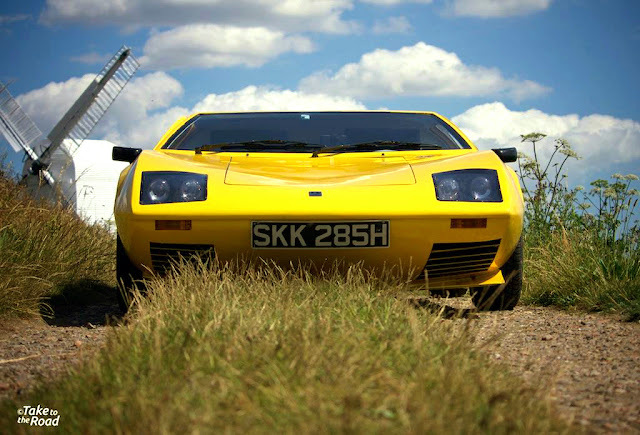 Previously, Bond cars were based on series production cars. 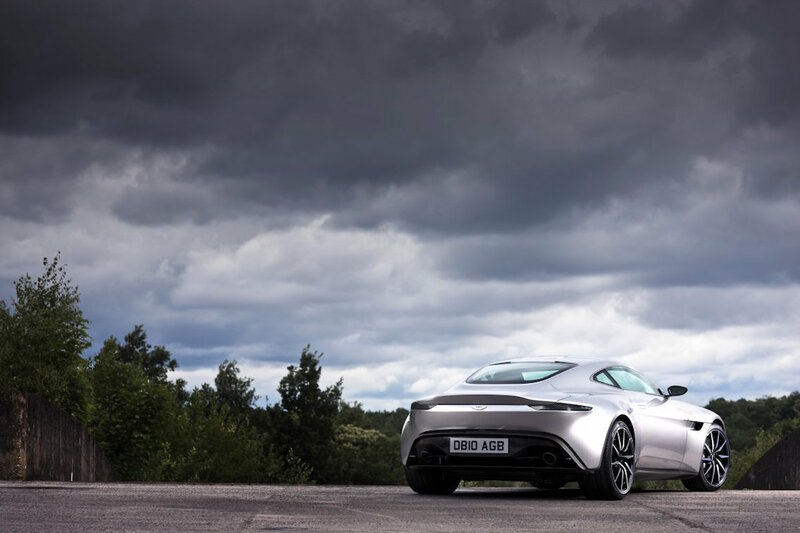 The history of Aston Martin supplying 007’s ride, dating back to the 1964 classic Goldfinger, when Sean Connery drove the iconic DB5 – regarded by many as one of the most beautiful Aston Martins ever created. 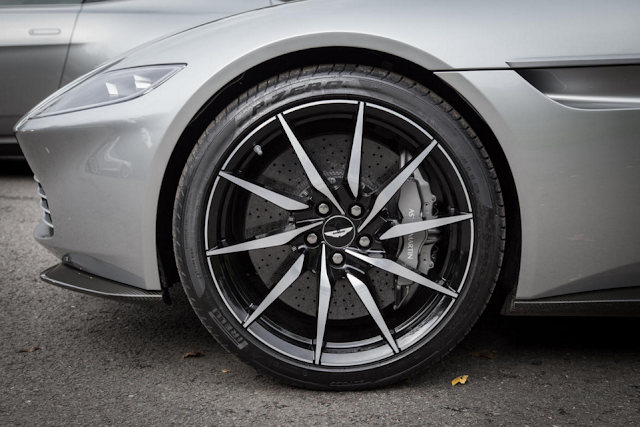 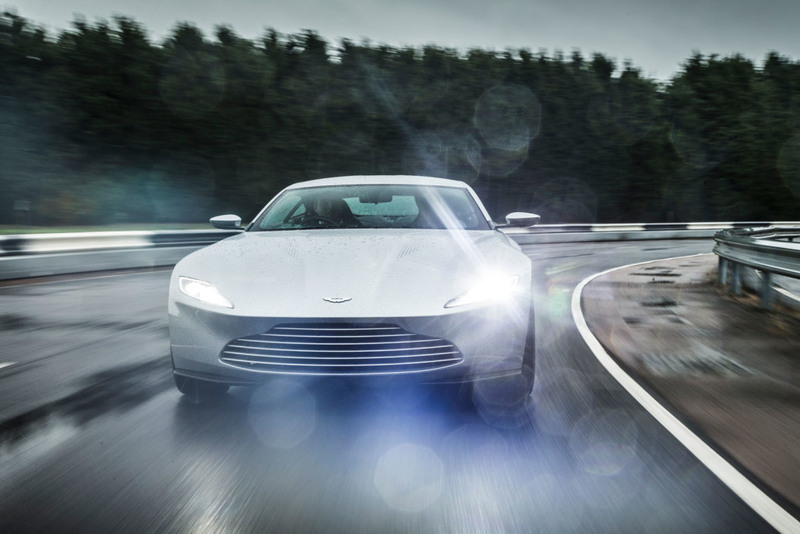 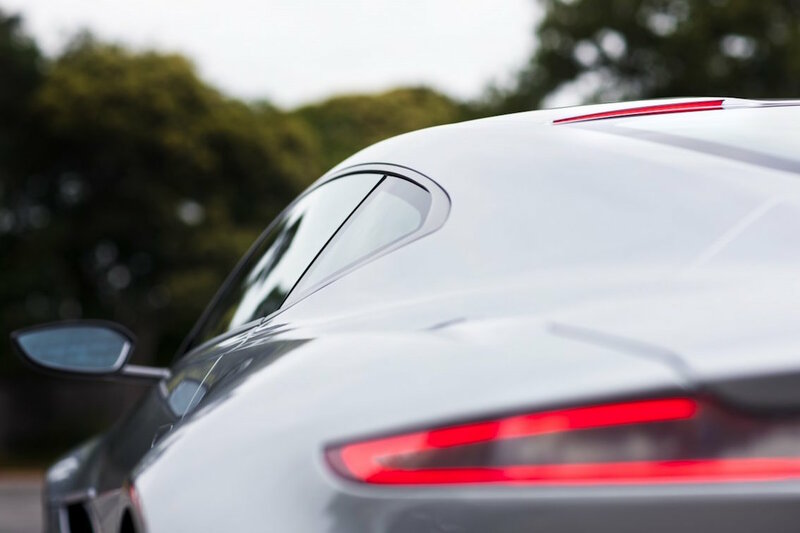 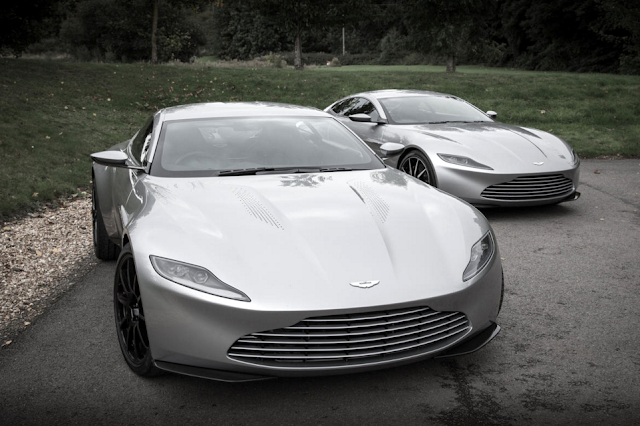 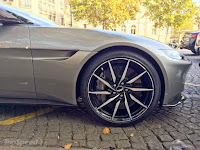 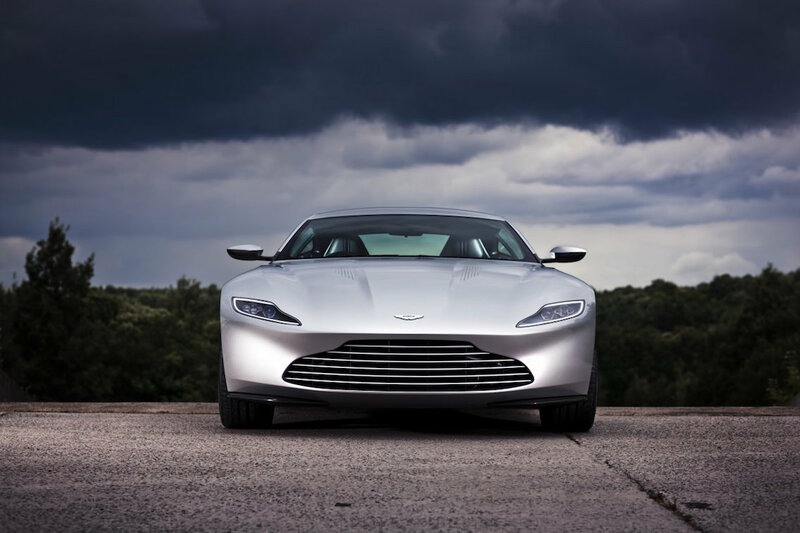 According to Aston’s director of design, Marek Reichmann, the DB10 was created as a modern interpretation of that iconic car. 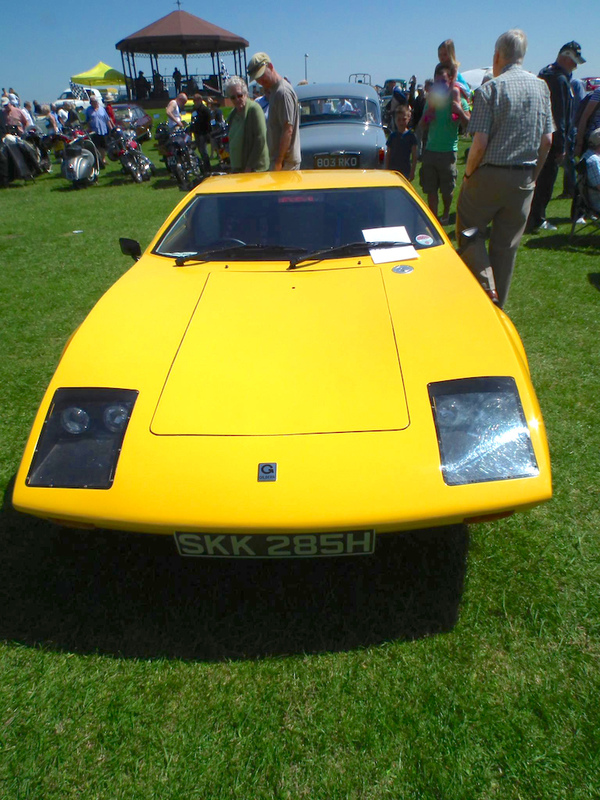 The design itself was penned by Sam Holgate. 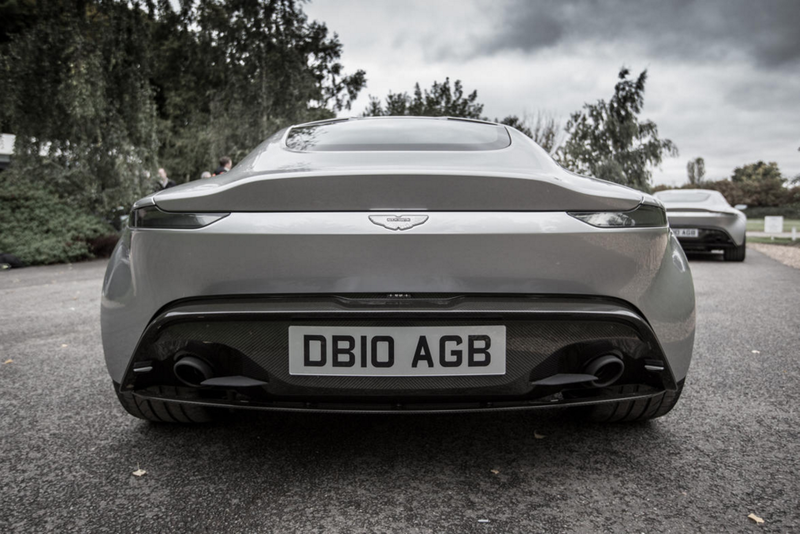 Holgate says his aim with the DB10 was to create an Aston that was purer, yet more contemporary than anything in the current range. 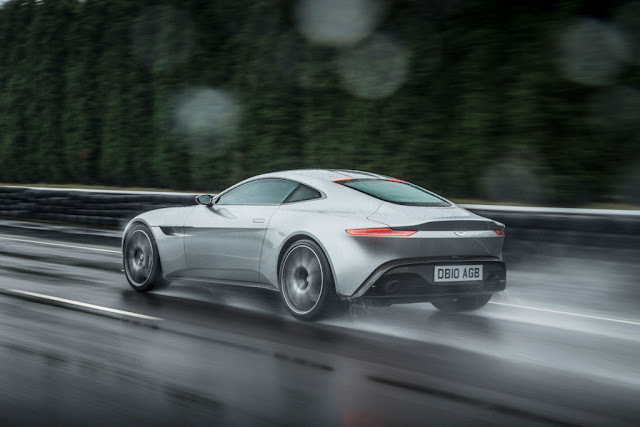 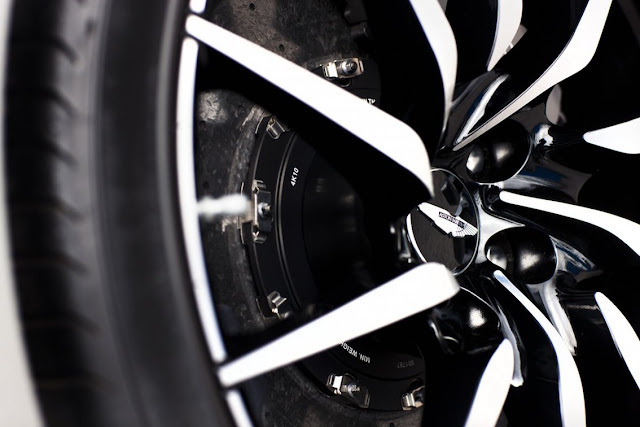 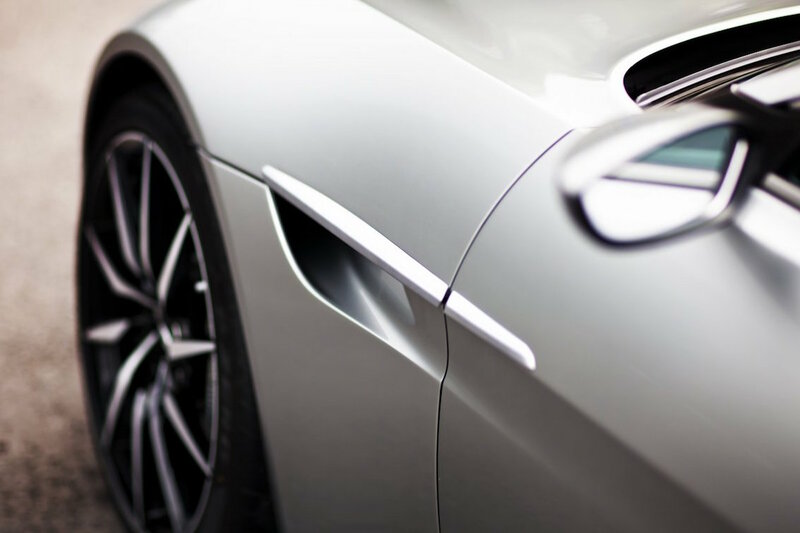 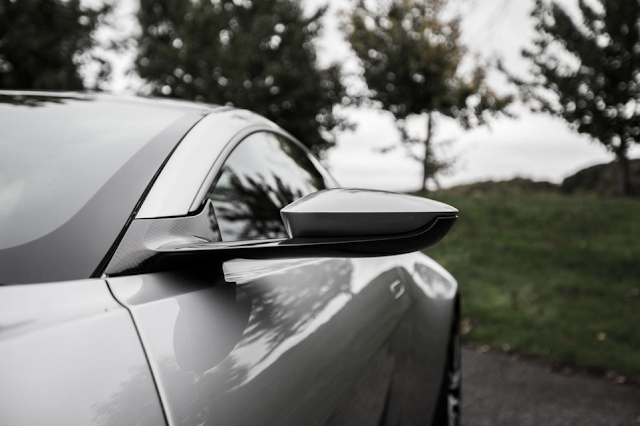 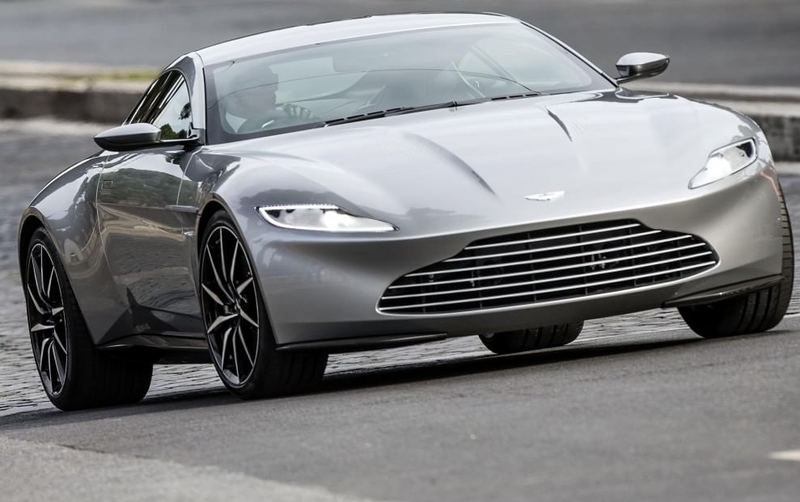 It might not be a production model, but rest assured the DB10 is a sure-fire window into the future design language that will serve as a blueprint for the next generation of Aston Martin’s road cars. 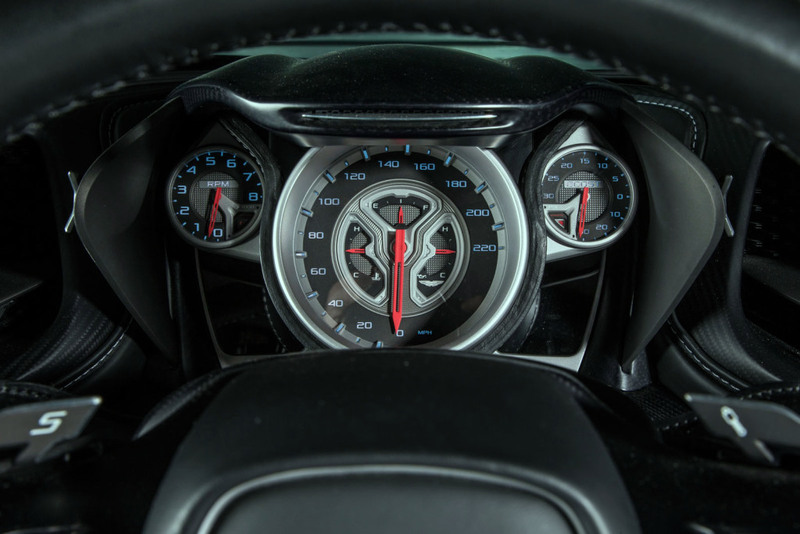 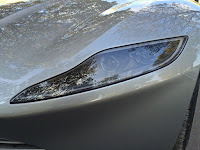 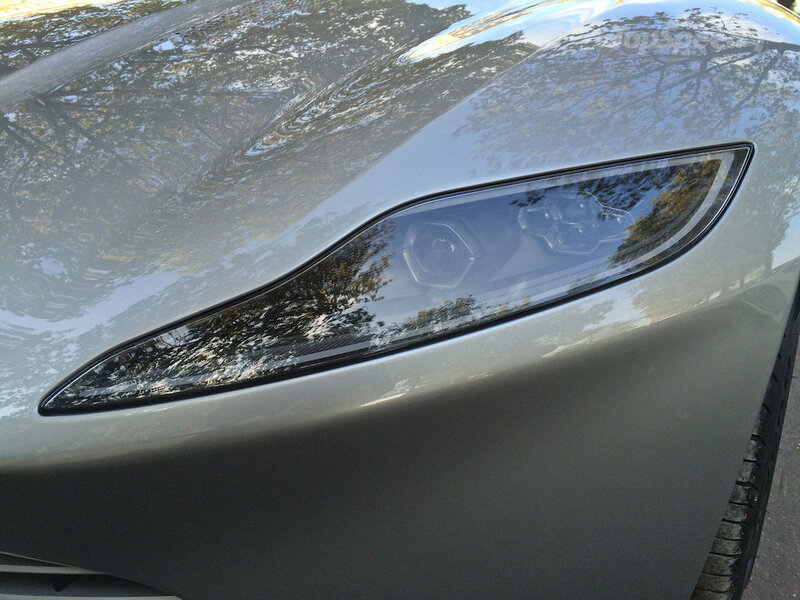 He cites the slimline taillights and hidden LED stoplight as features that could be seen in future product. 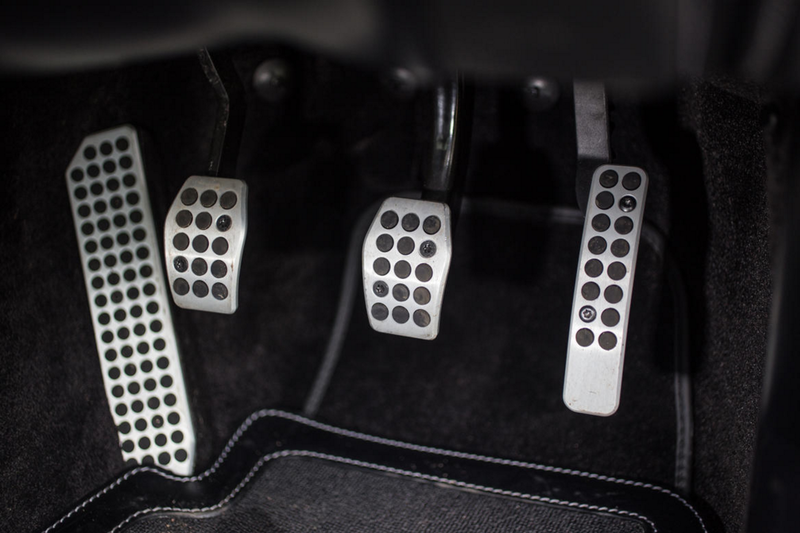 The car was built in a staggering six months. Under the bonnet is the same naturally aspirated 4.7-litre V8 from the Aston Martin V8 Vantage S. The entire body is carbon-fibre. 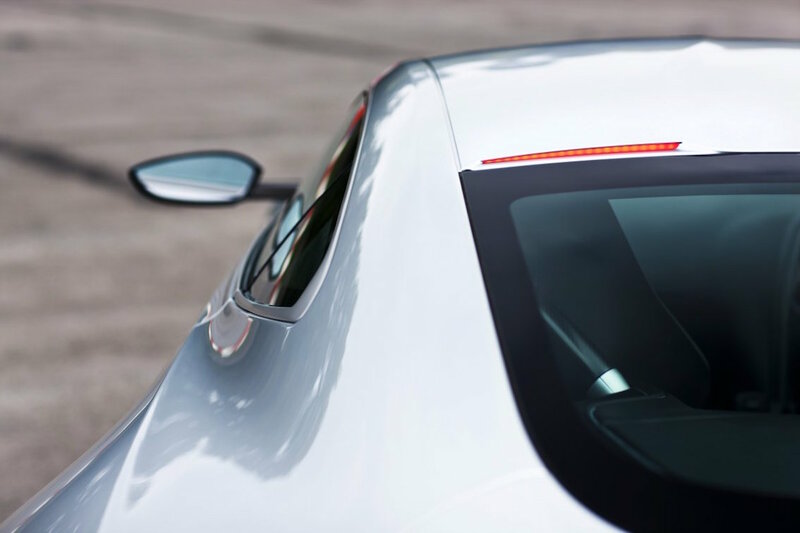 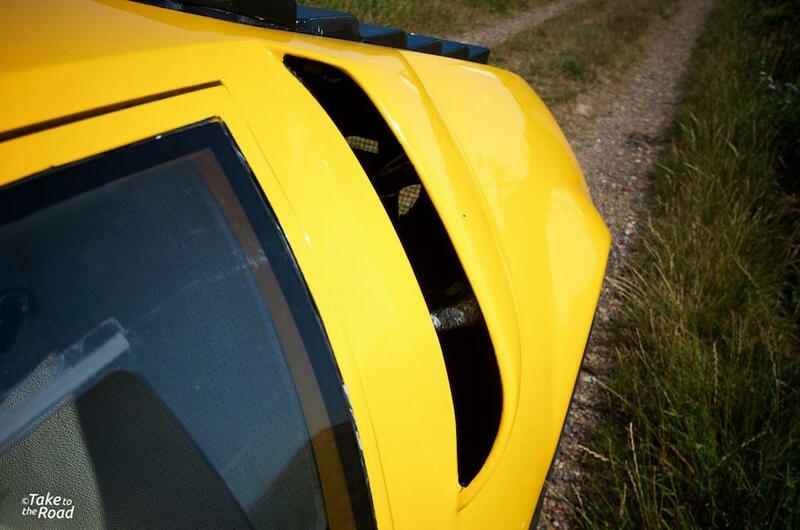 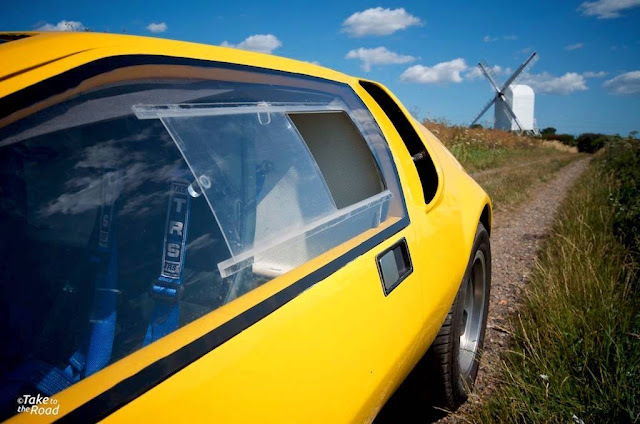 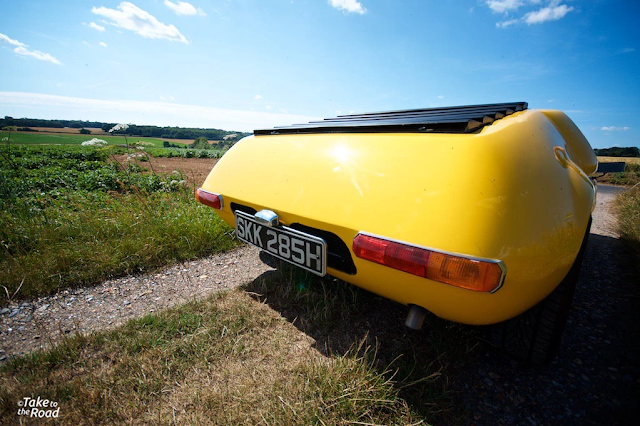 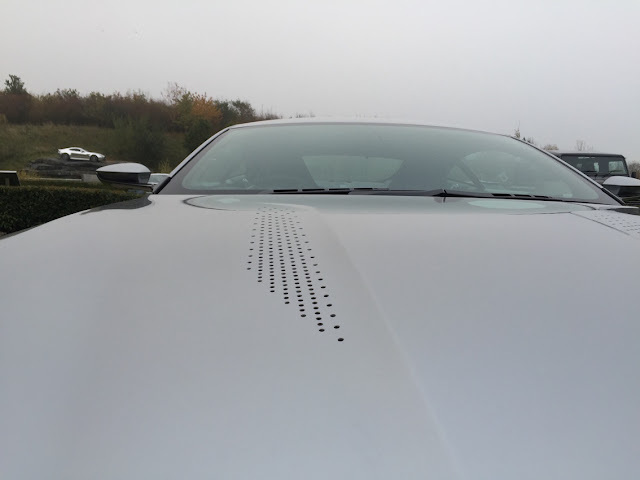 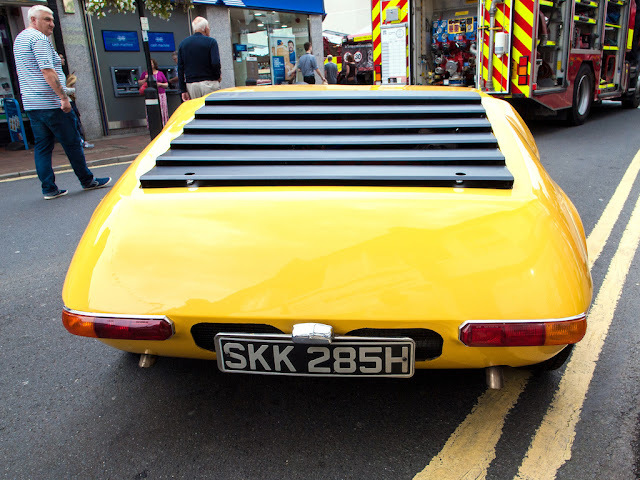 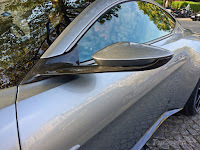 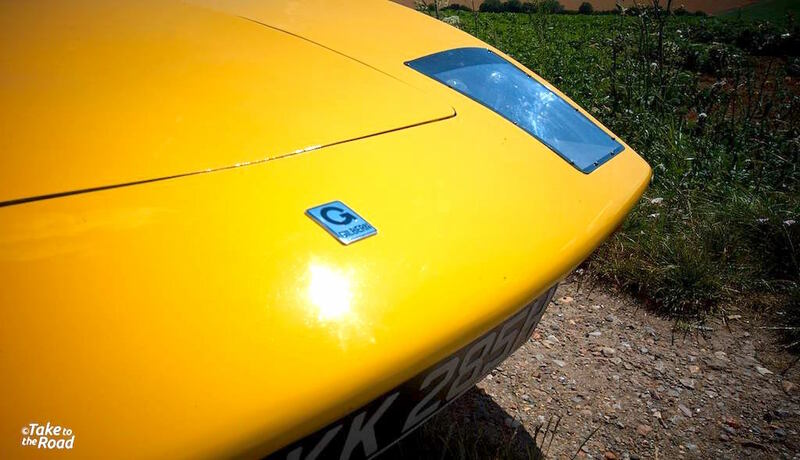 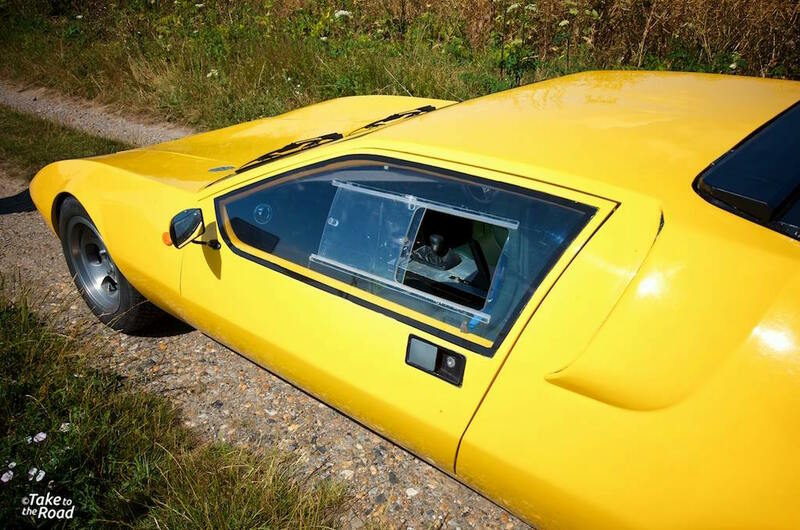 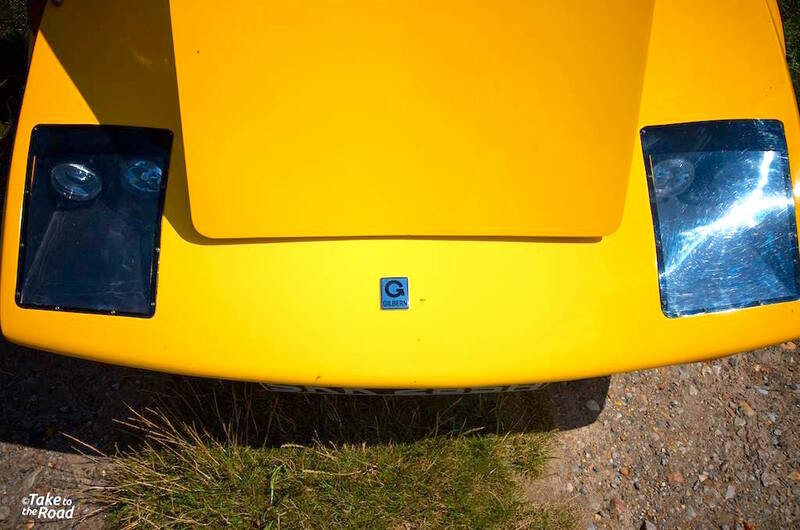 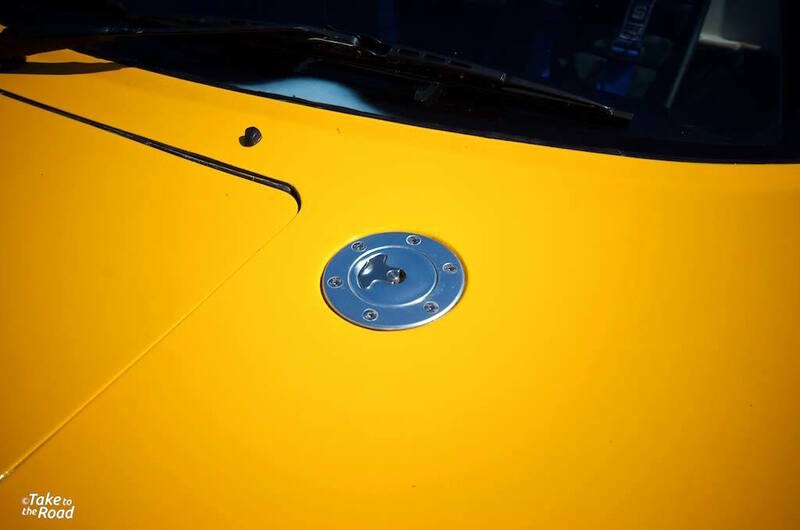 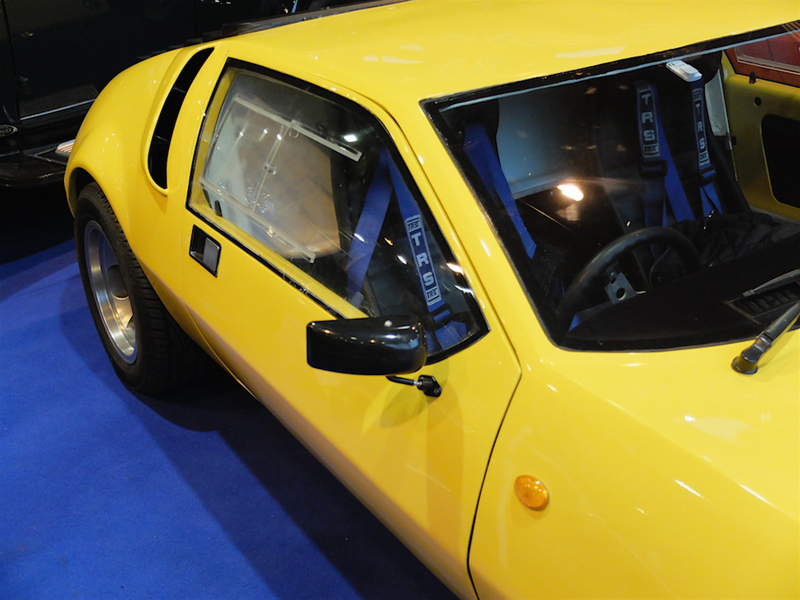 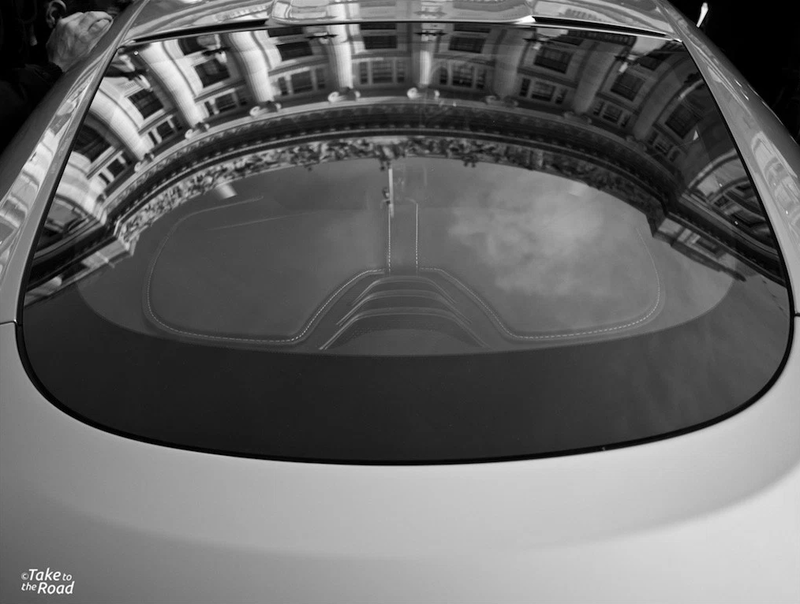 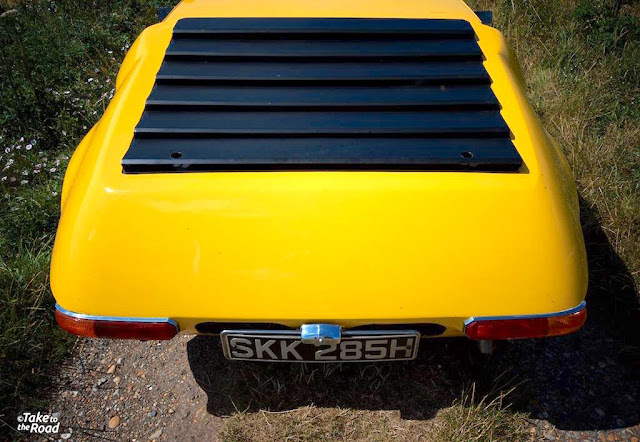 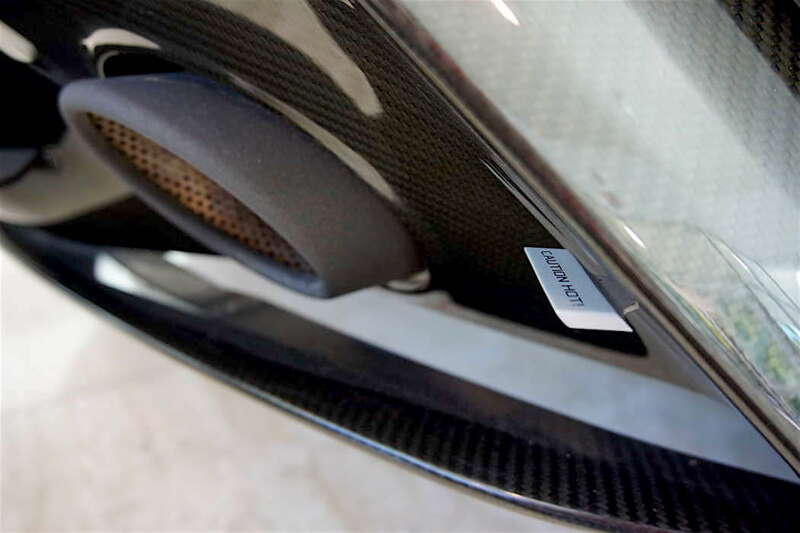 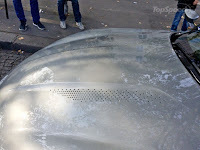 The bonnet vents are special too – just a series of perfectly machined holes, rather than the usual two-piece unit, and only visible to the eye up close. 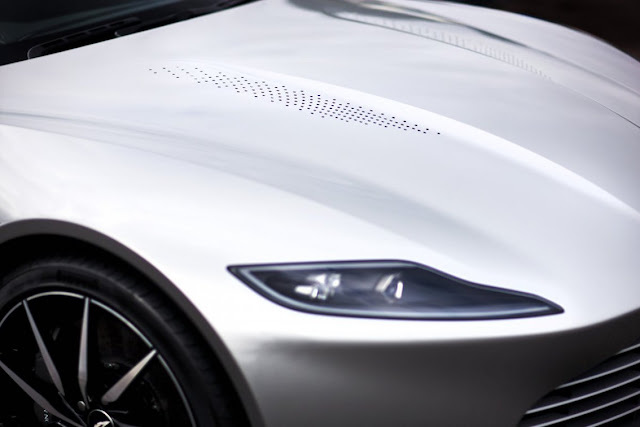 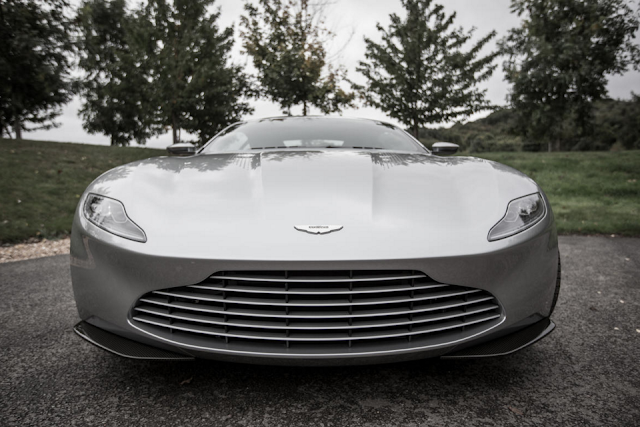 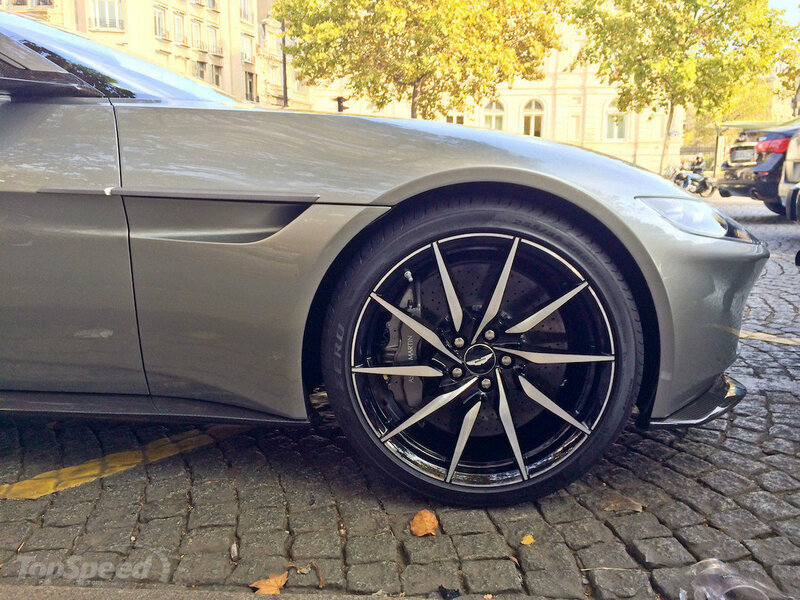 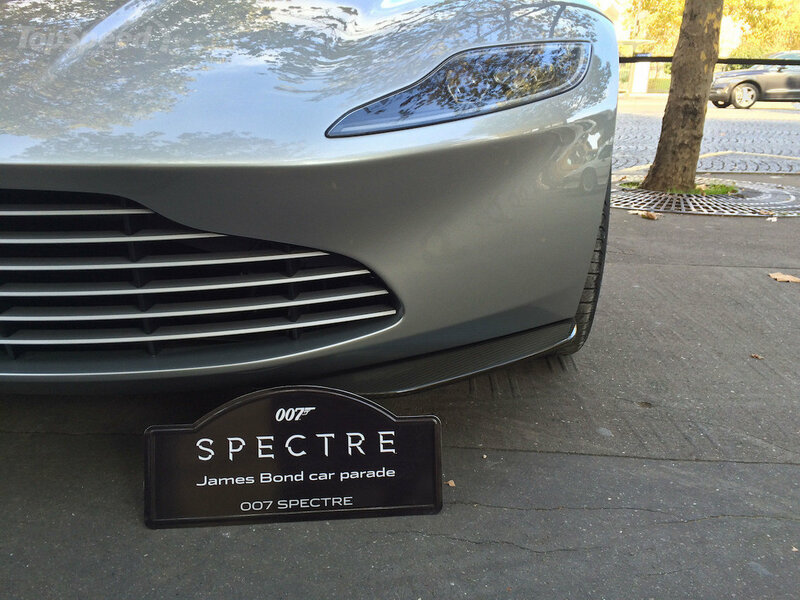 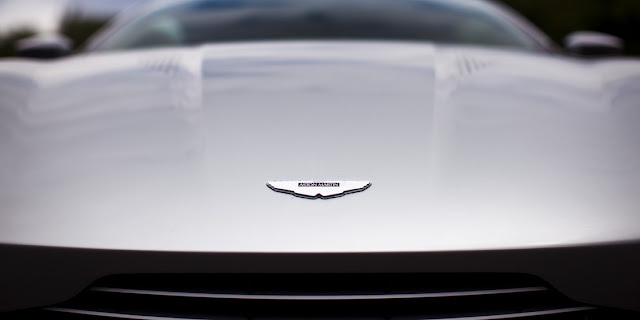 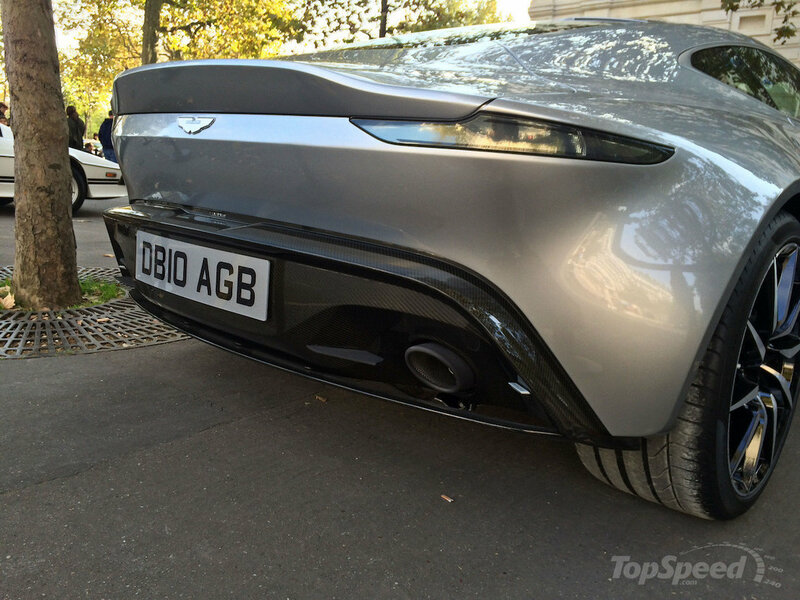 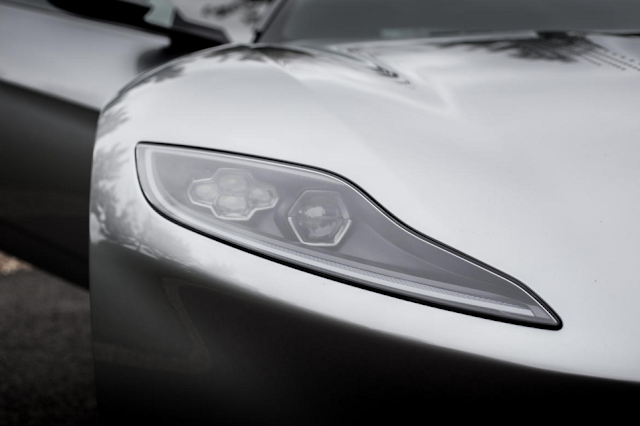 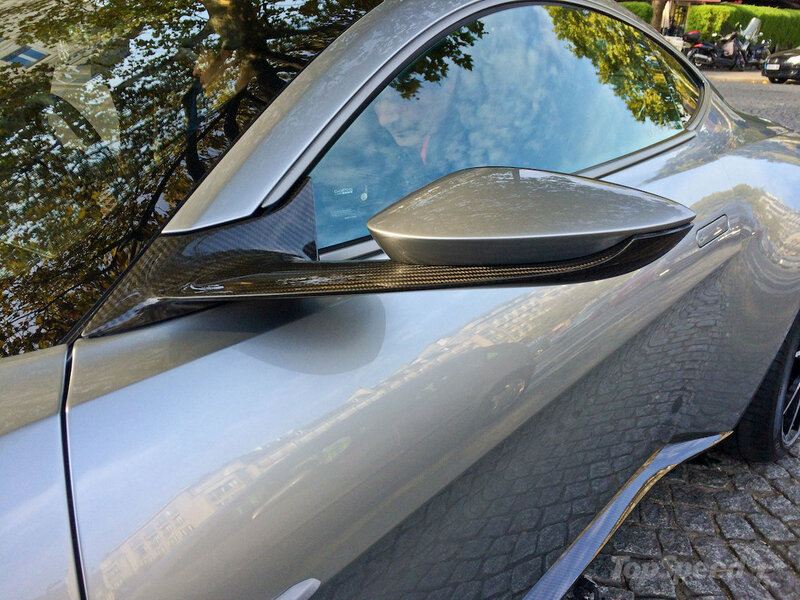 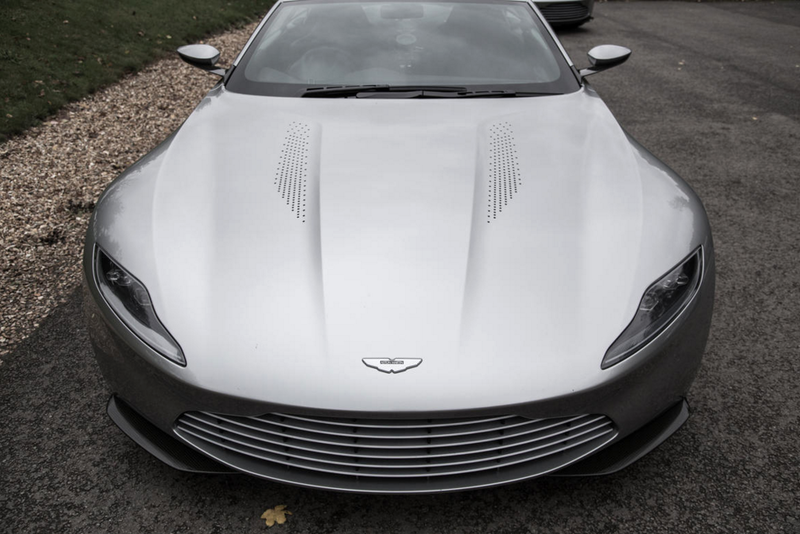 The DB10’s super-low shark nose grille is an entirely different take on the standard, more upright Aston face. 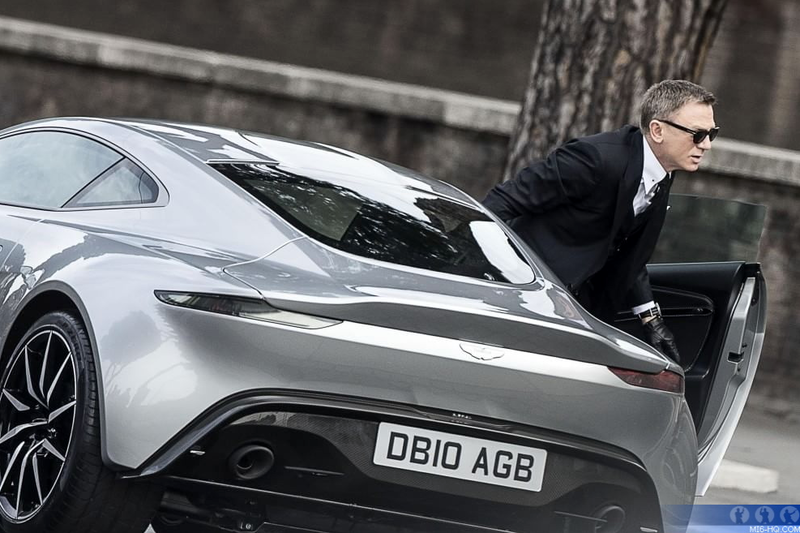 Holgate describes it as a more sinister and in line with 007’s darker side in Spectre. 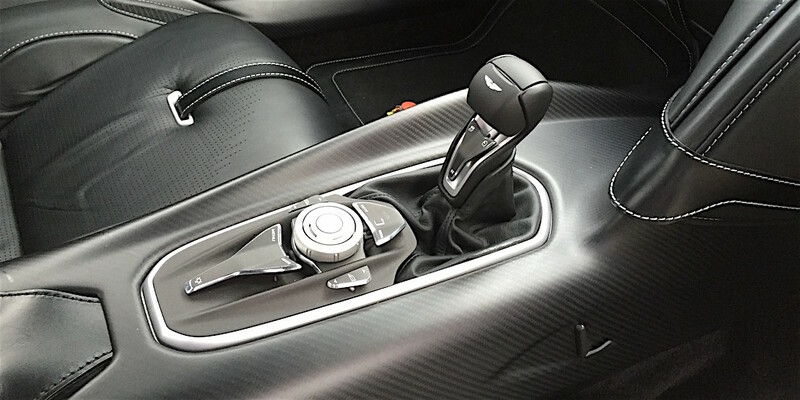 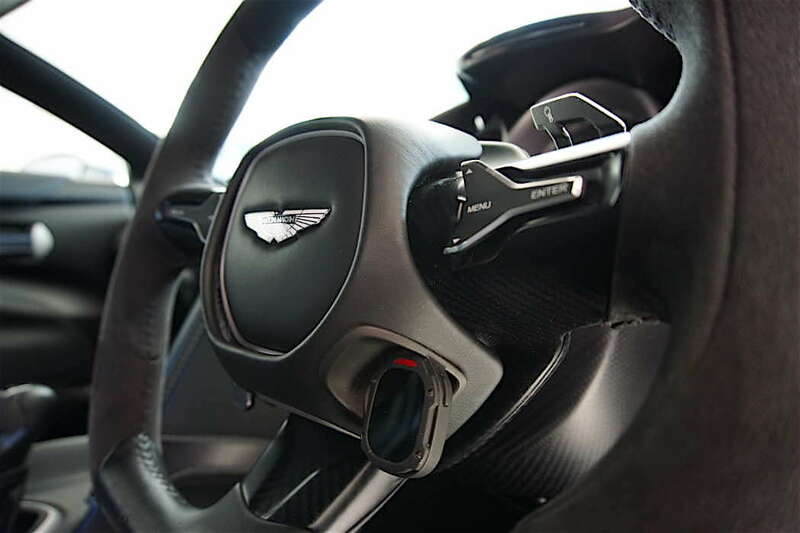 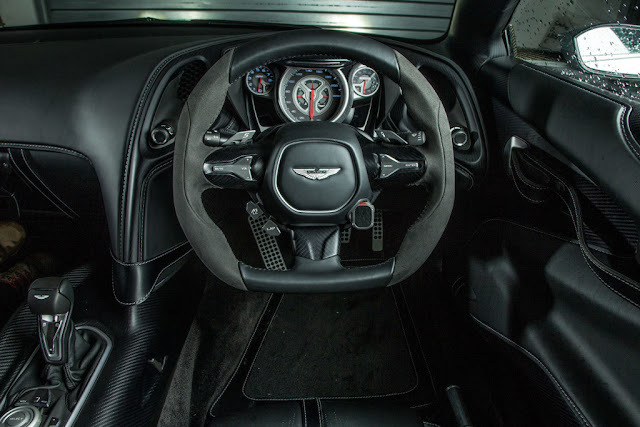 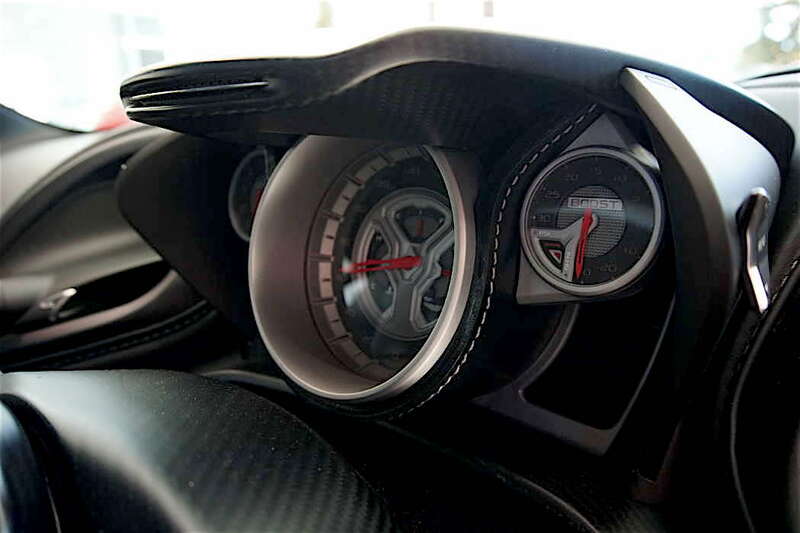 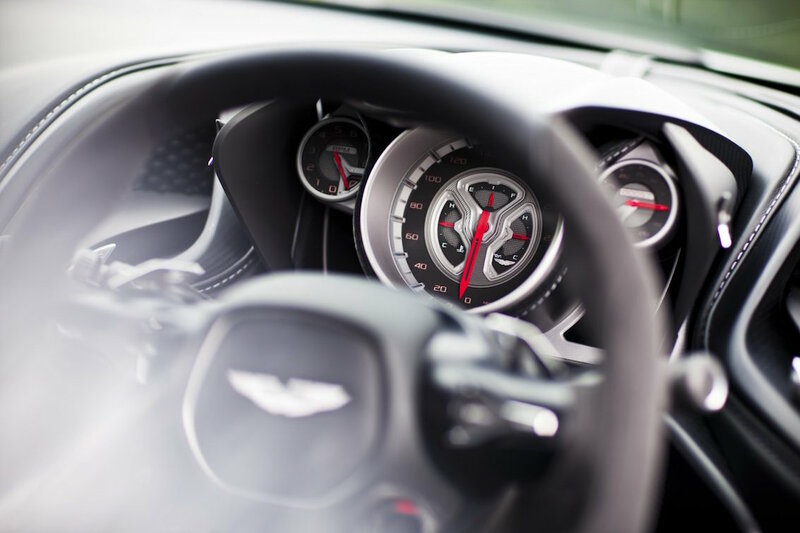 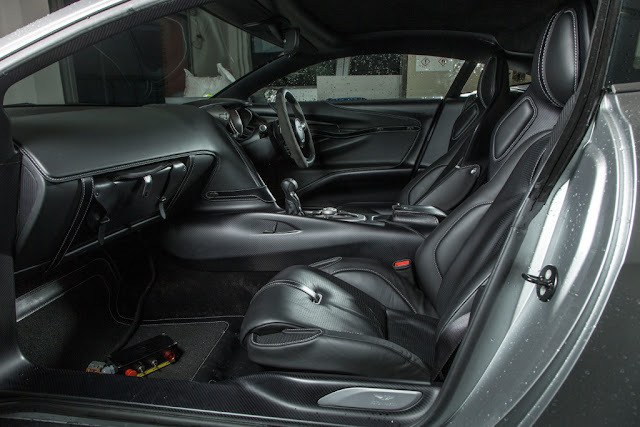 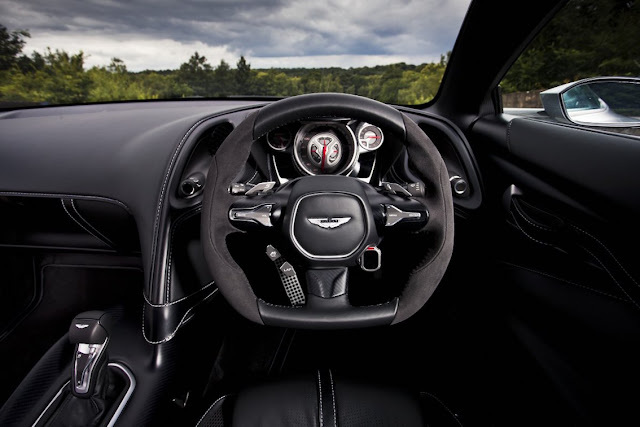 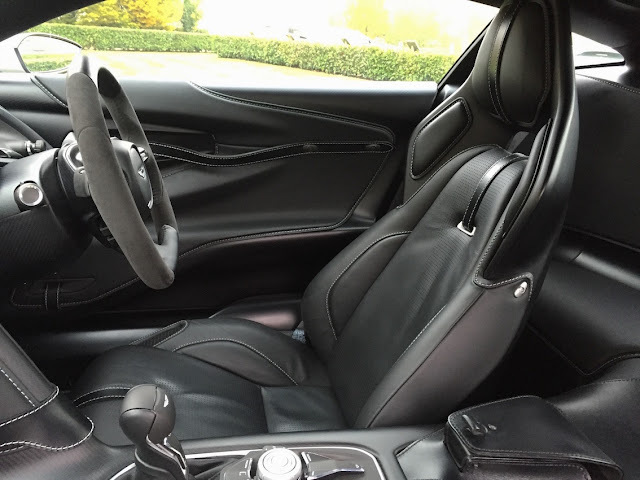 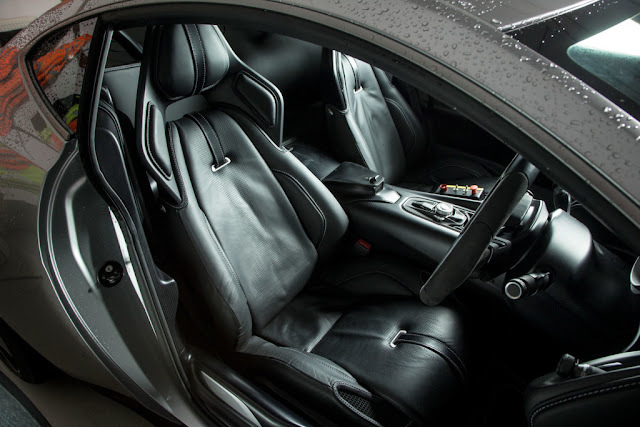 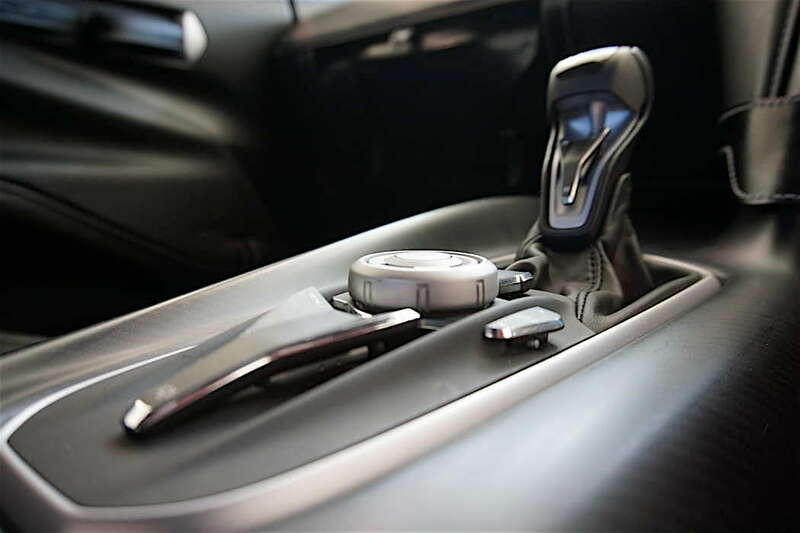 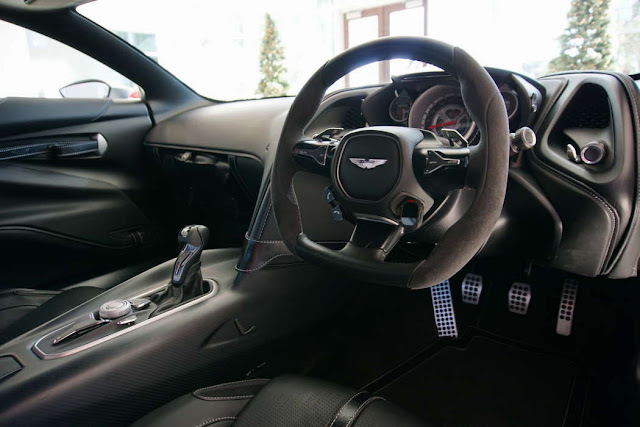 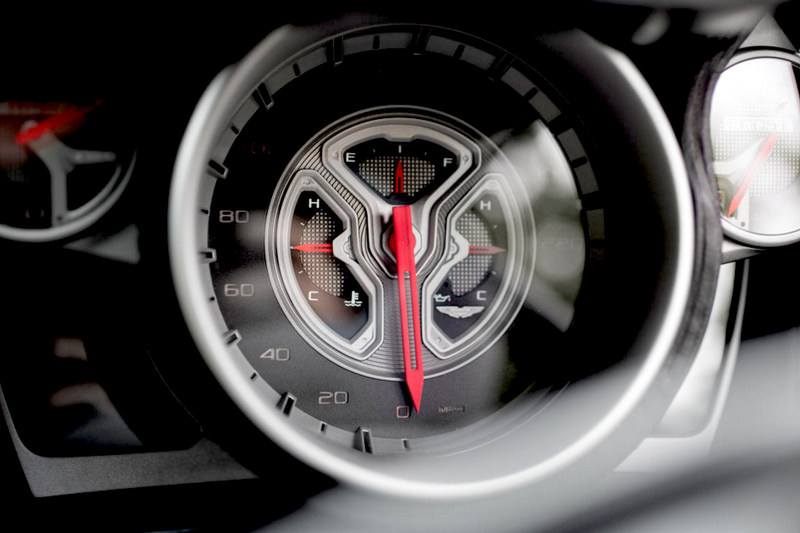 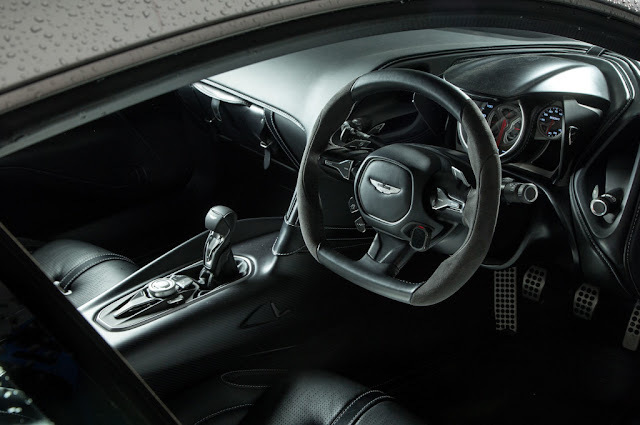 The interior treatment is less cluttered and much more driver focused anything Aston Martin has done before. 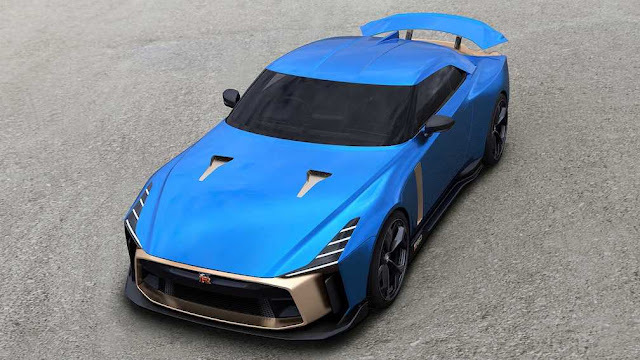 That’s also what we can look forward to in new-gen Astons. 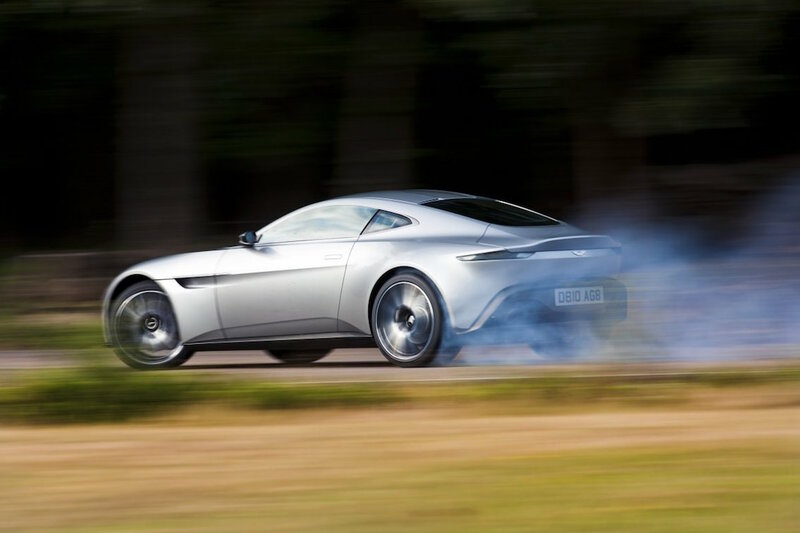 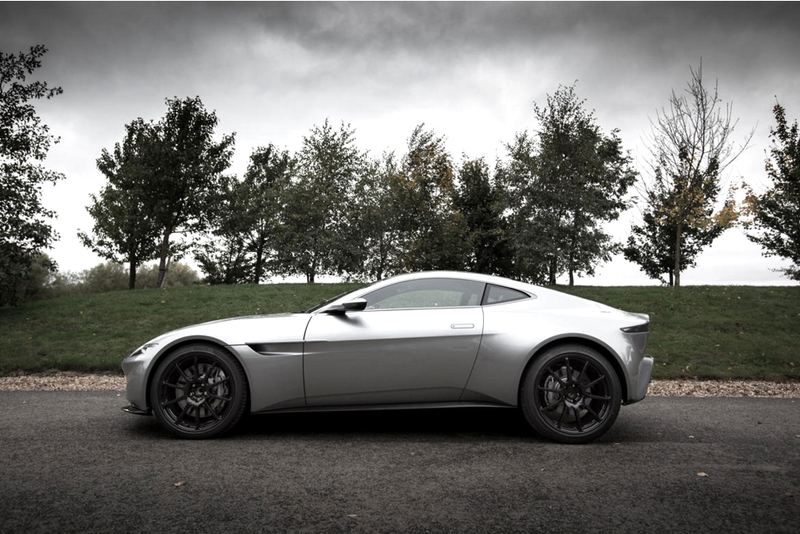 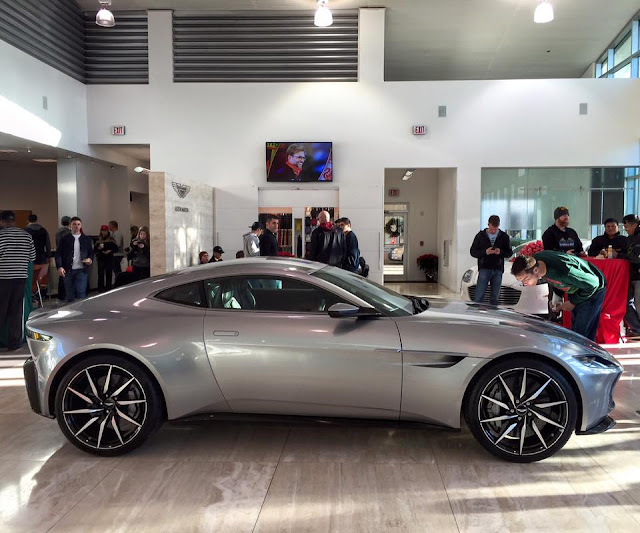 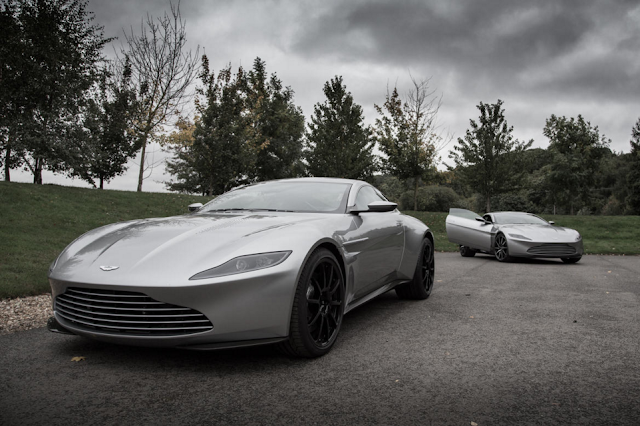 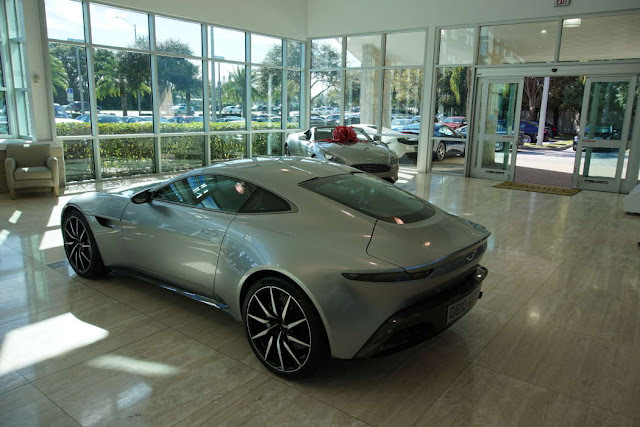 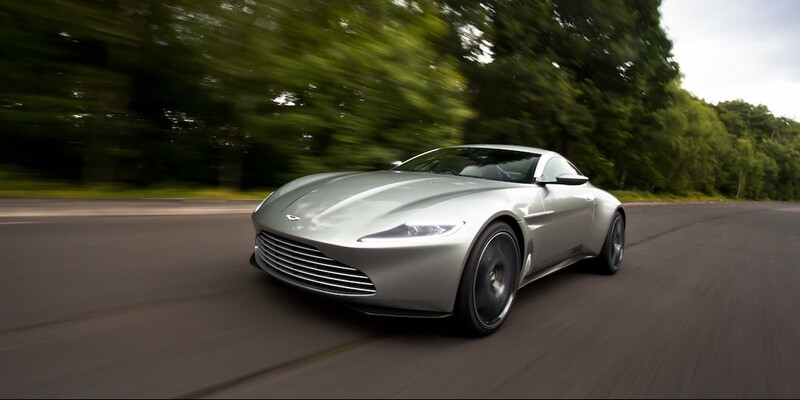 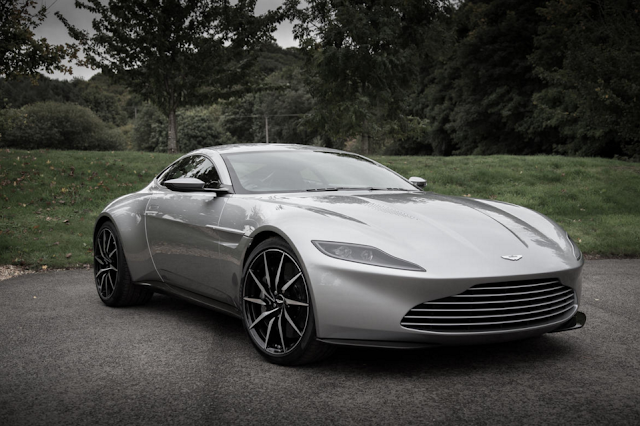 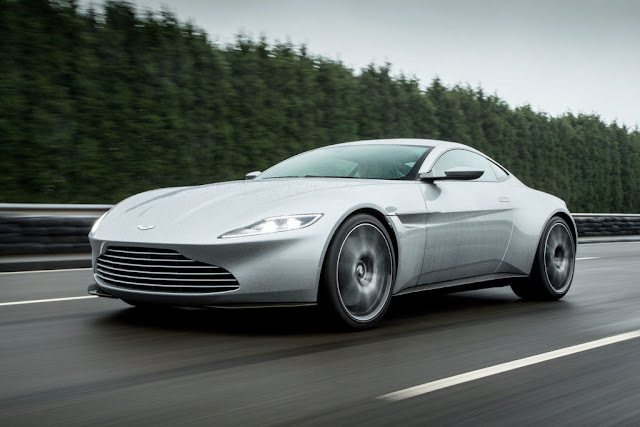 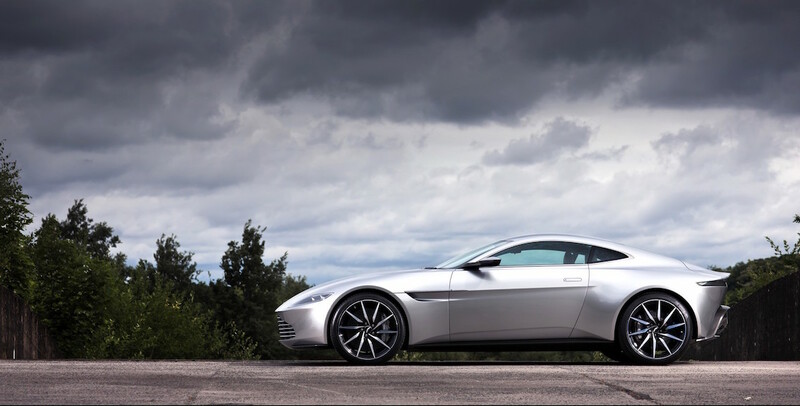 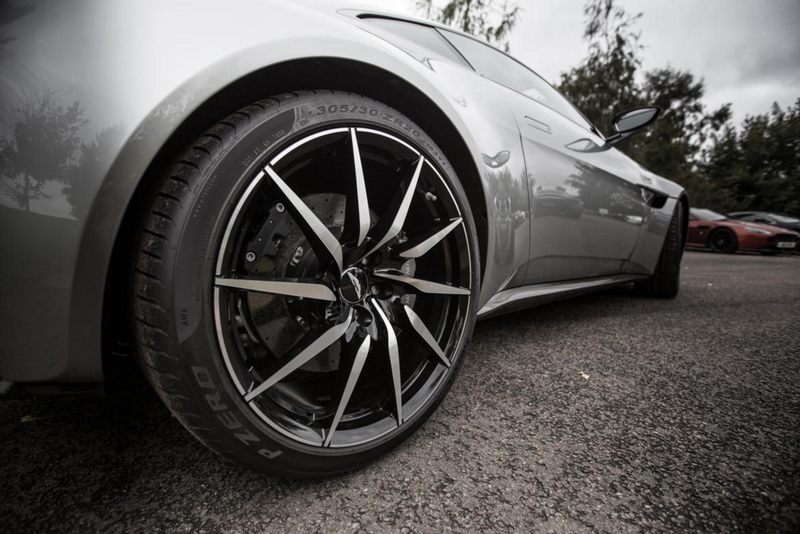 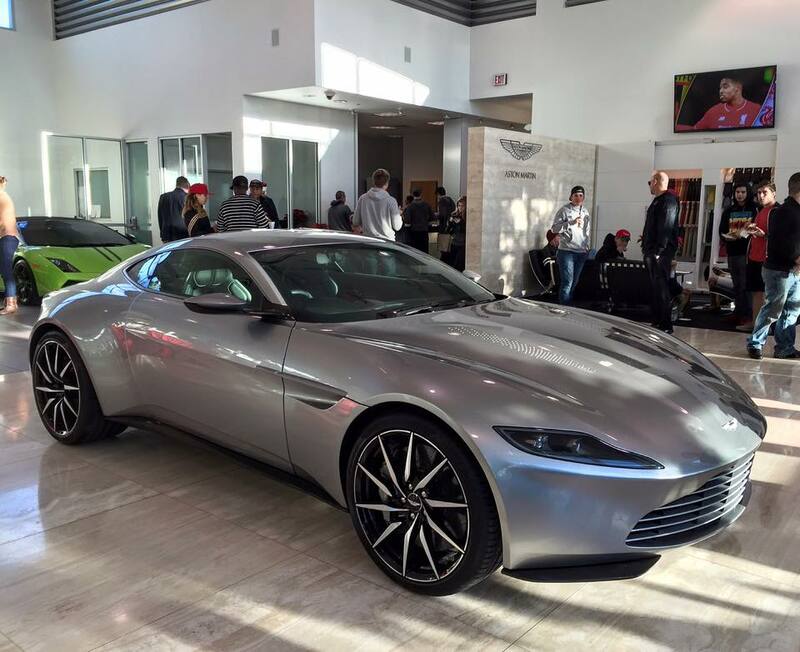 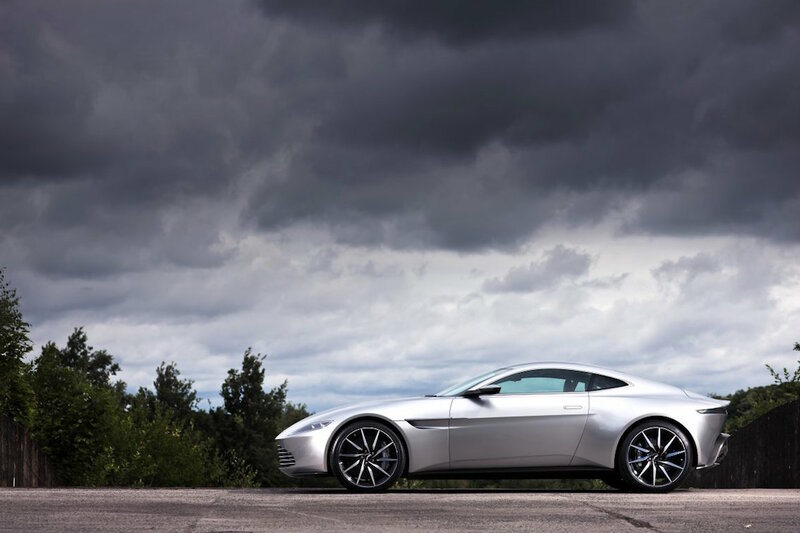 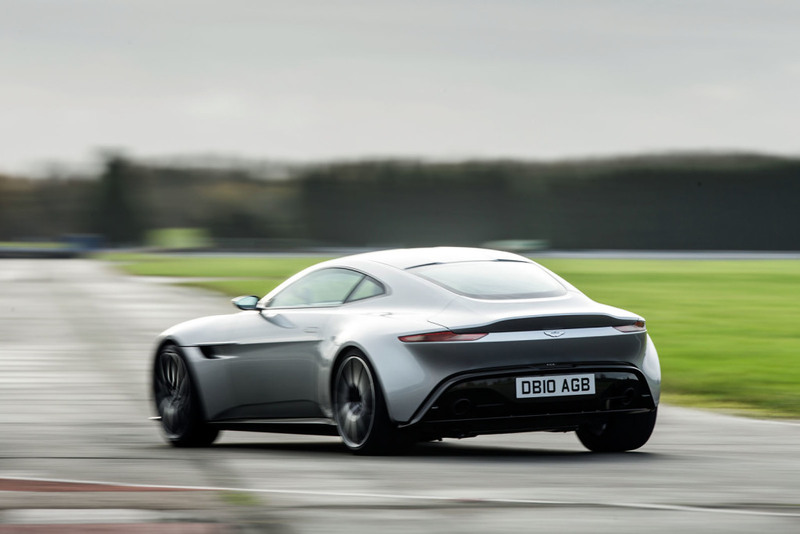 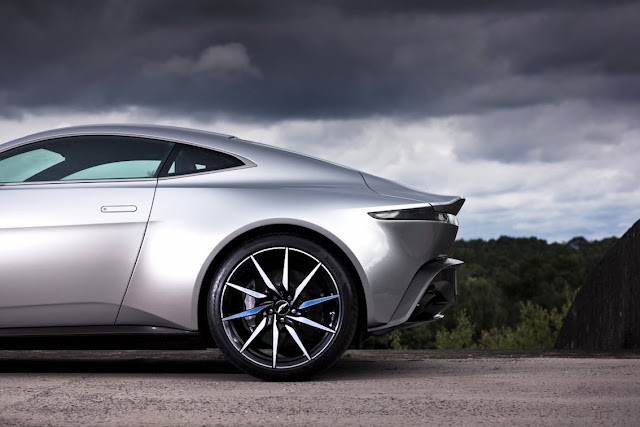 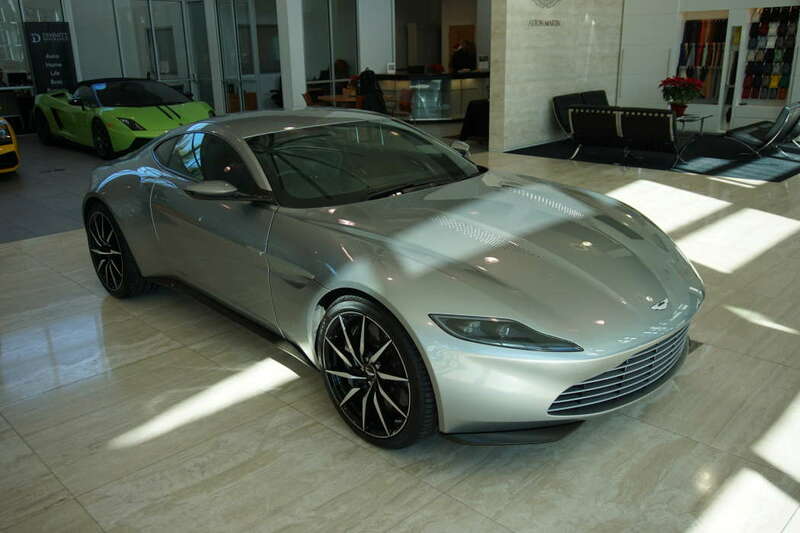 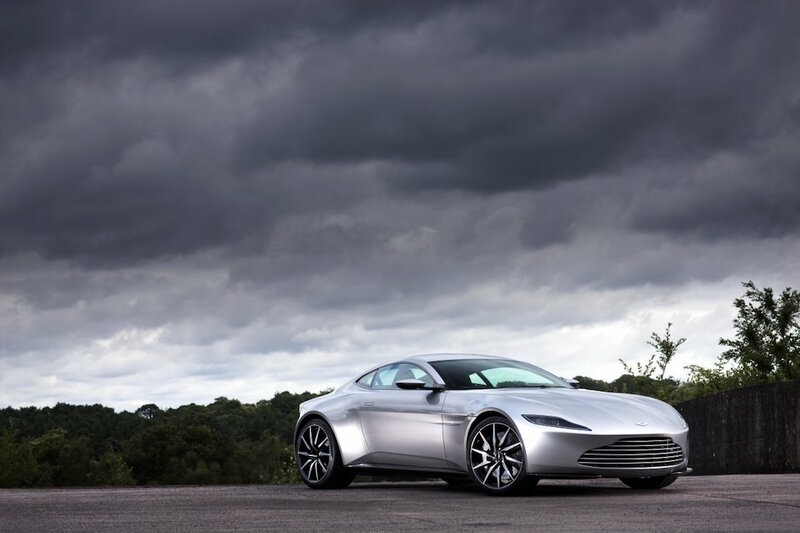 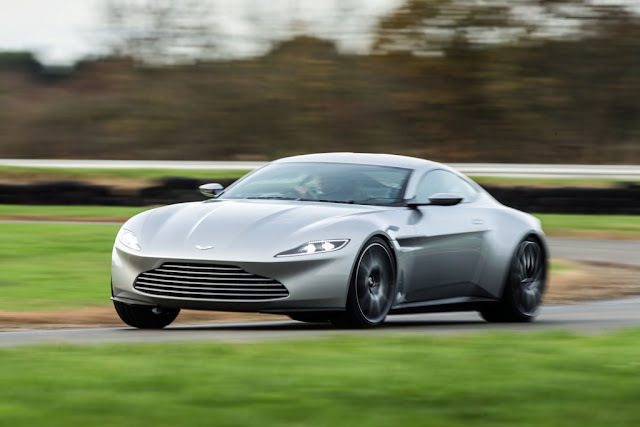 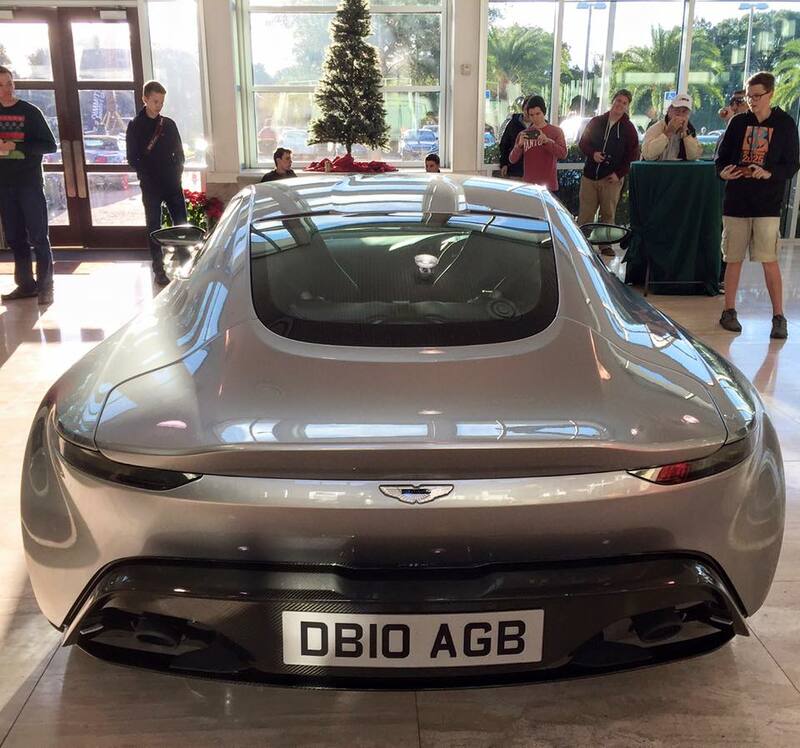 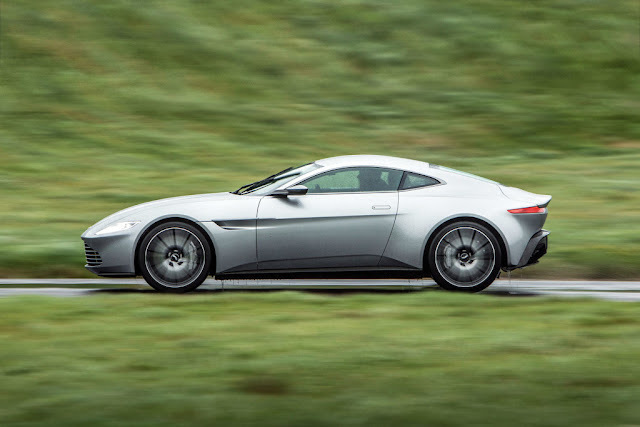 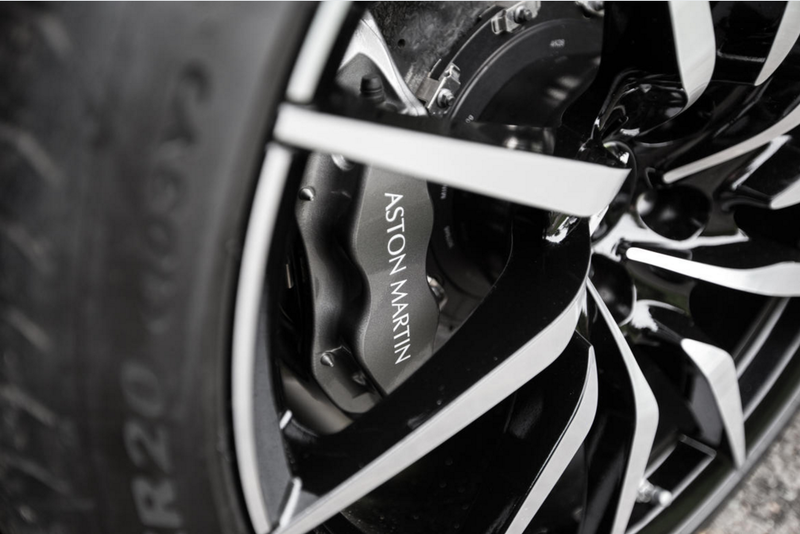 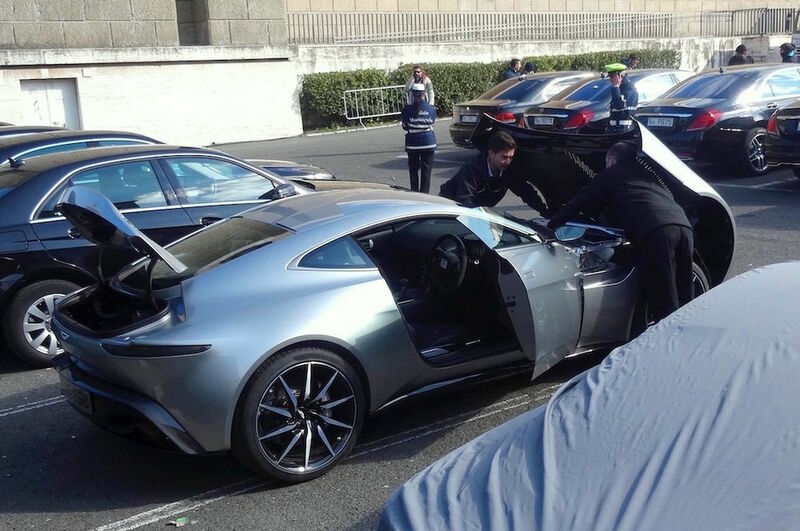 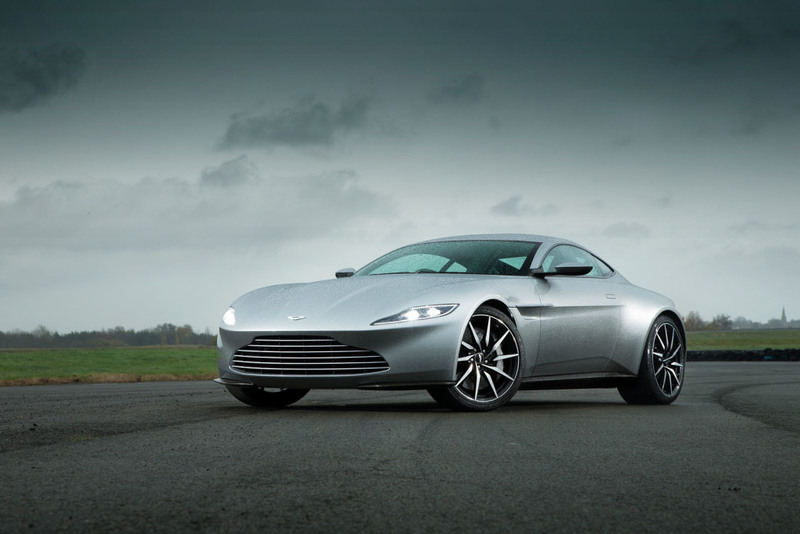 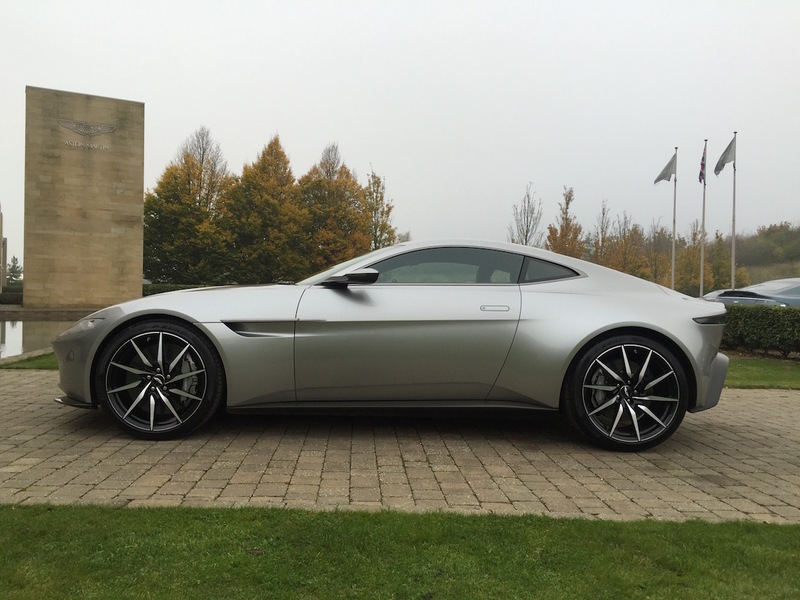 Update February 2016: The Aston Martin DB10 was auctioned off for £2,434,500.